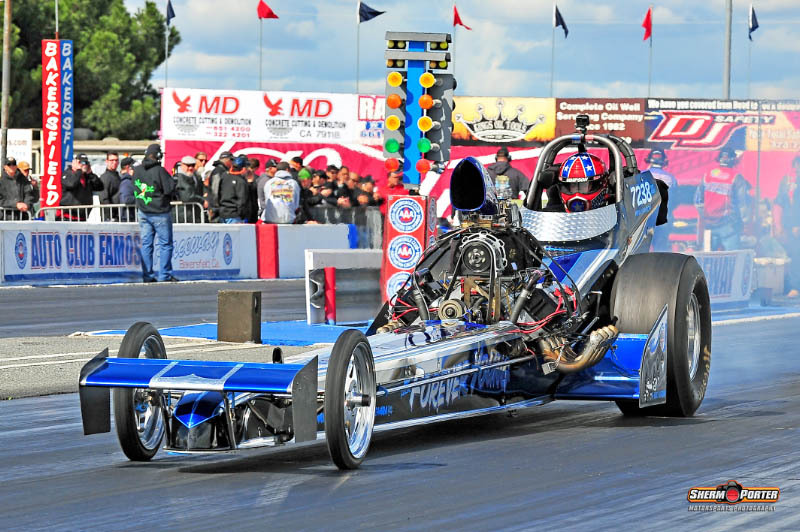 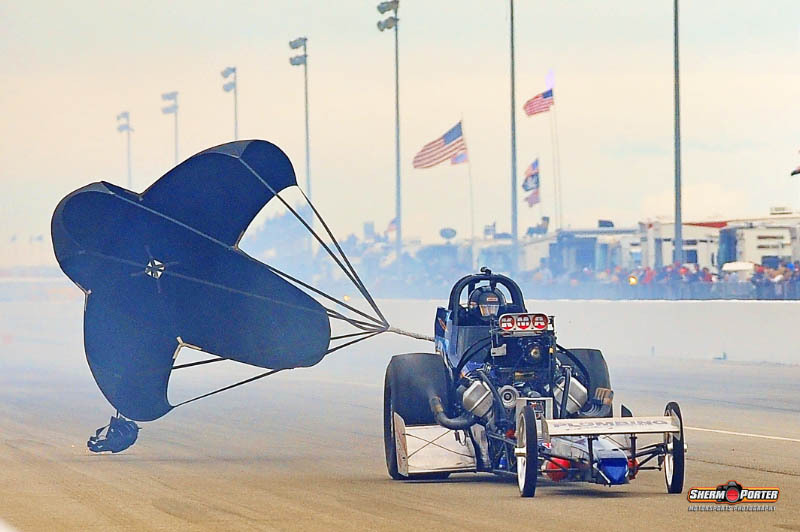 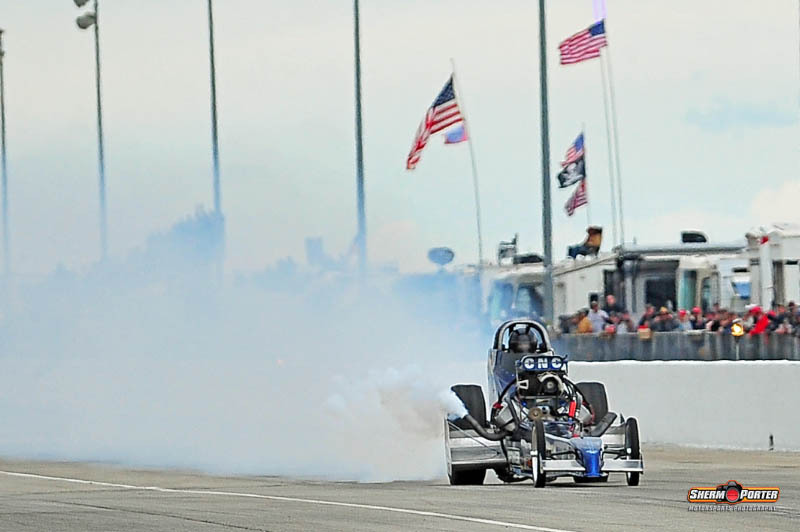 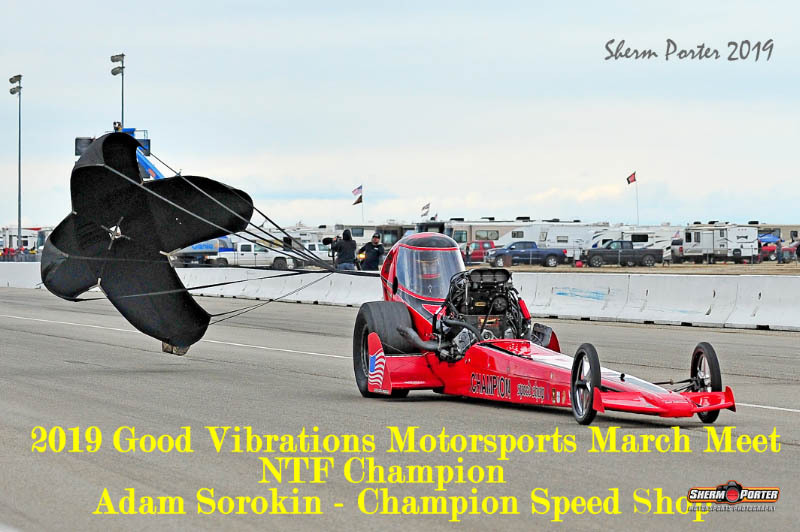 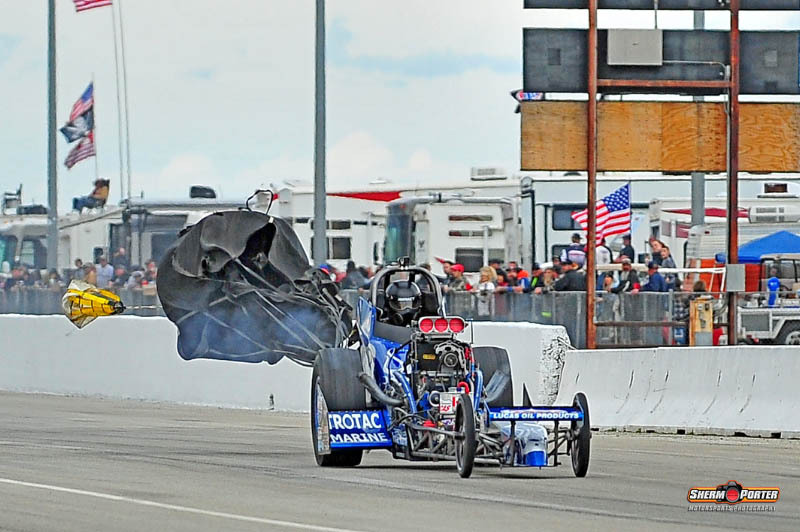 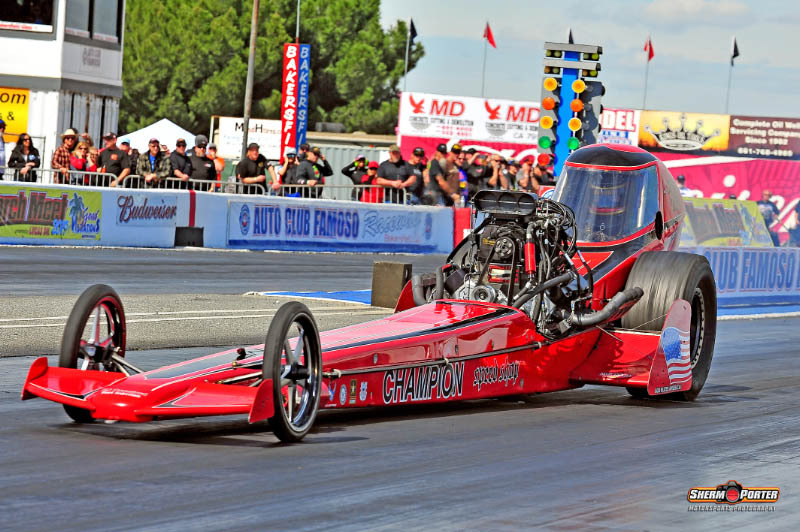 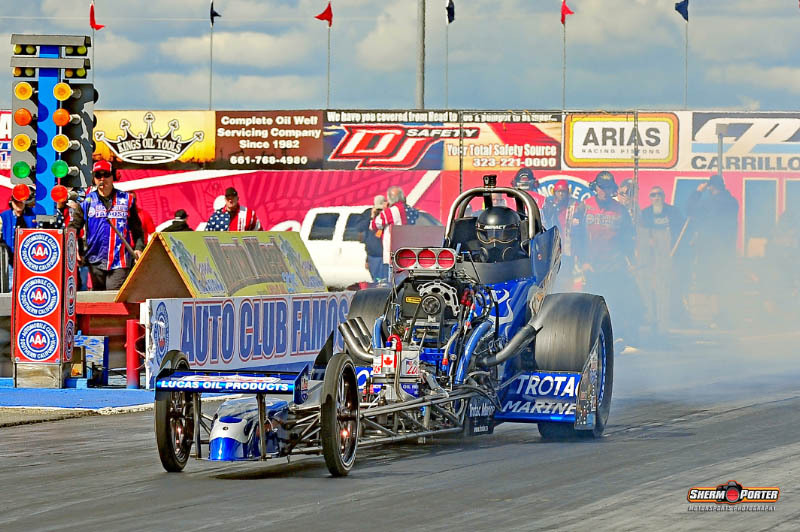 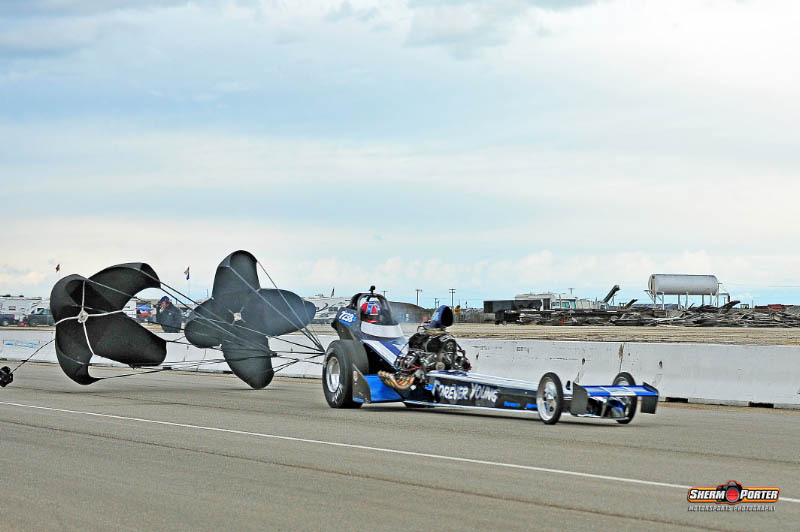 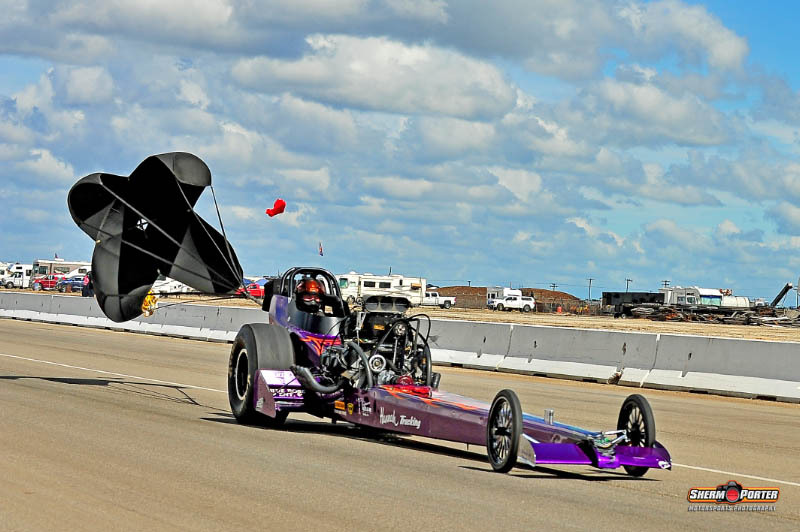 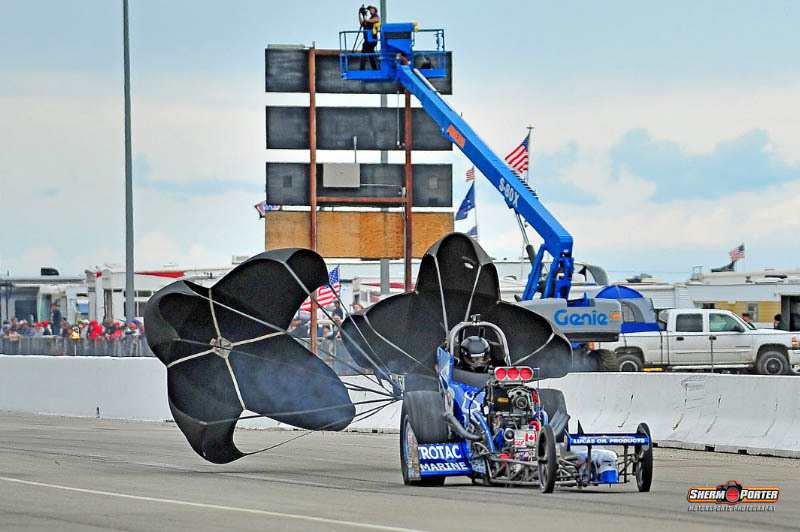 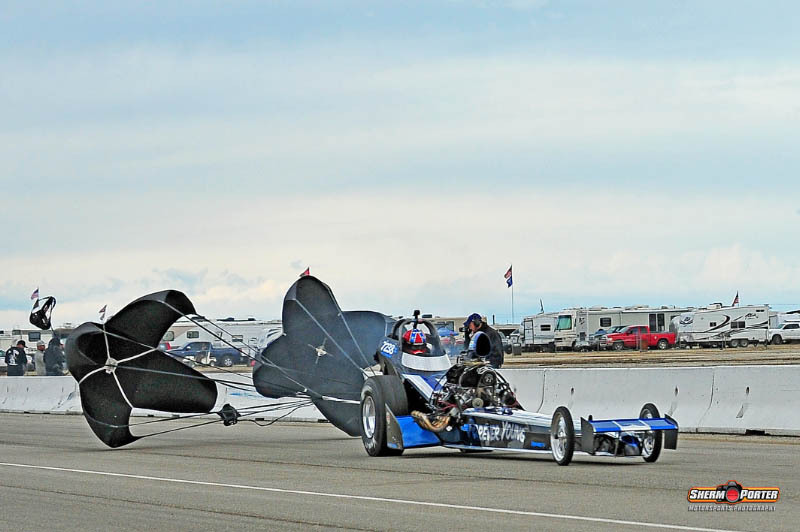 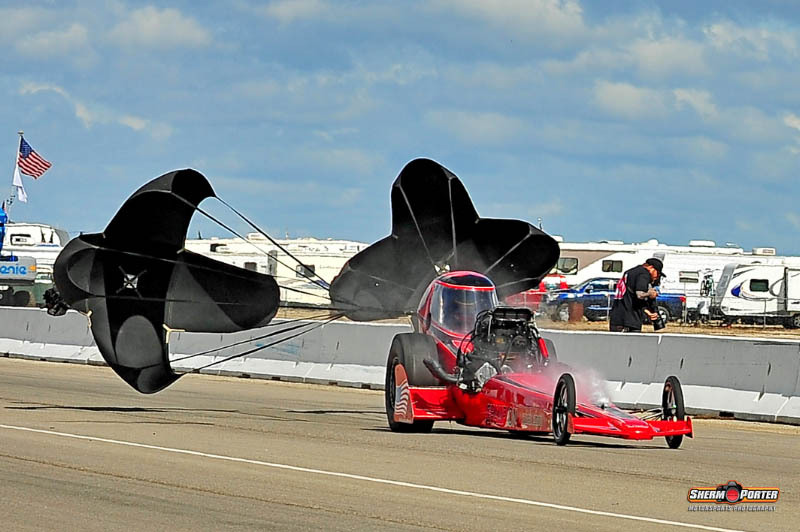 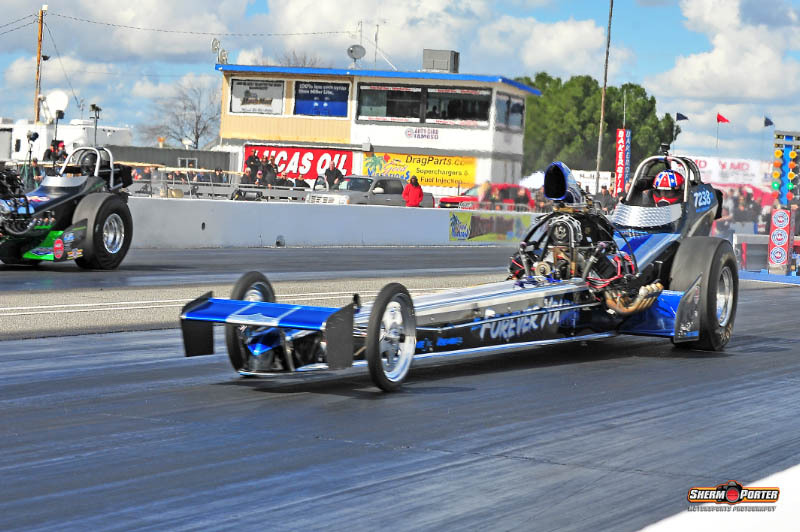 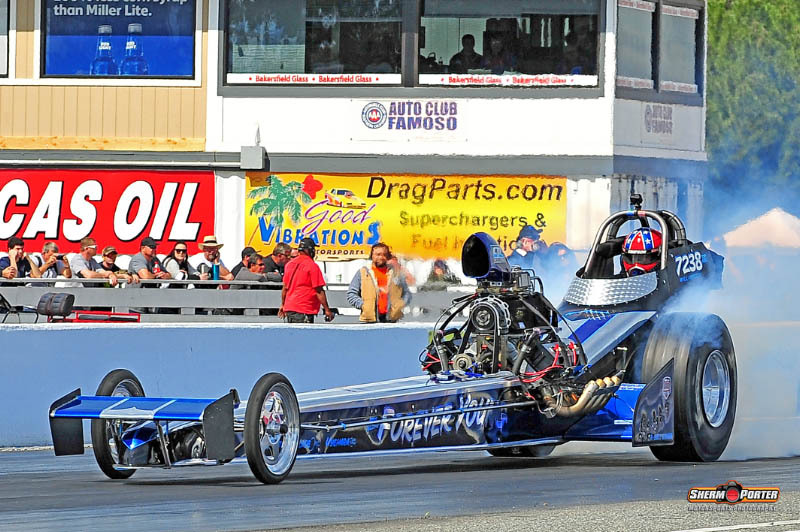 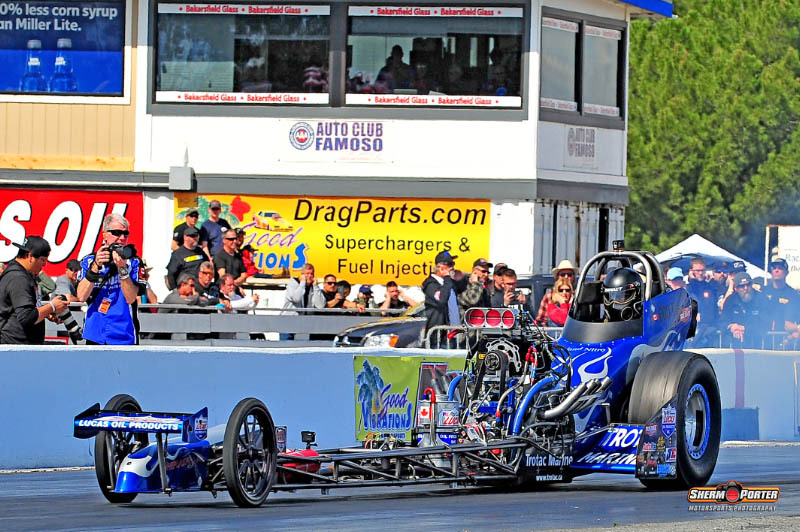 Top Fuel is always an exciting class, with veteran drivers competing for the gold…this year was no exception, with Adam Sorokin ultimately taking the win. 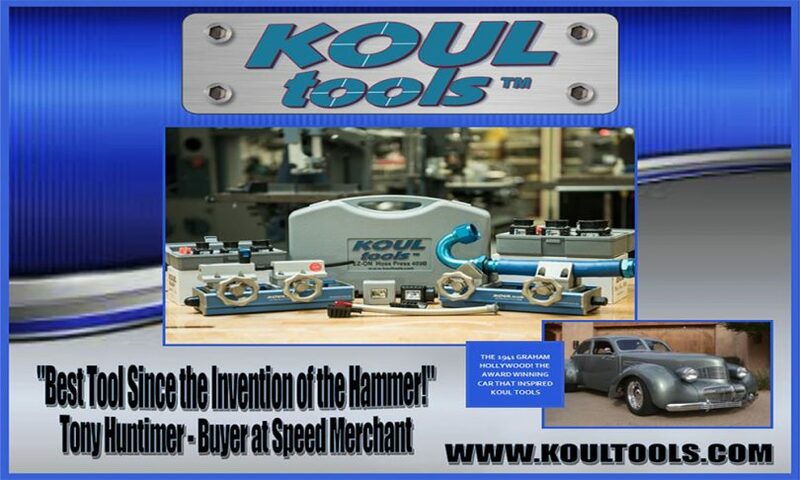 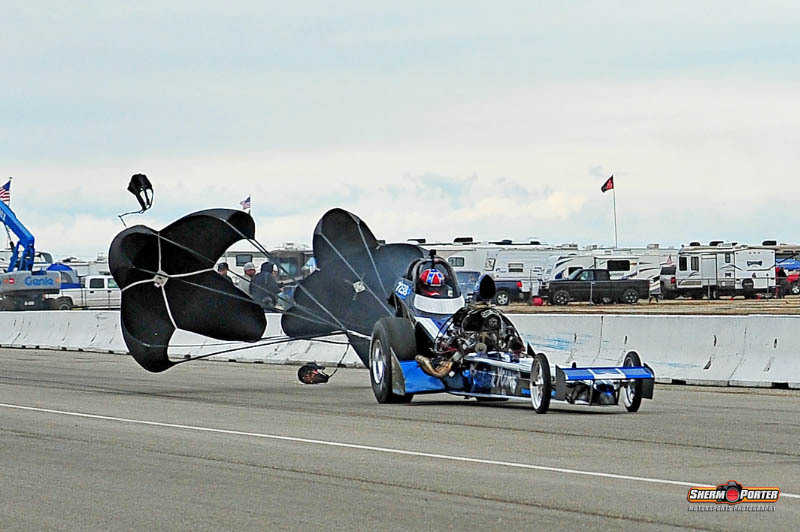 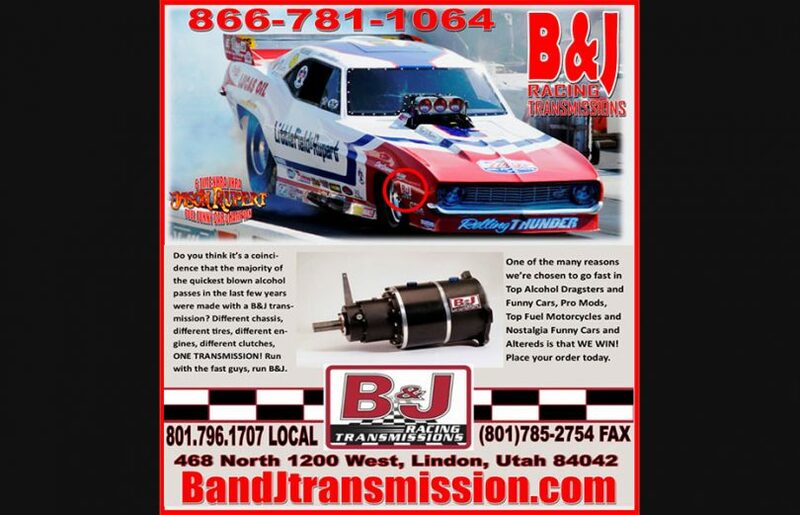 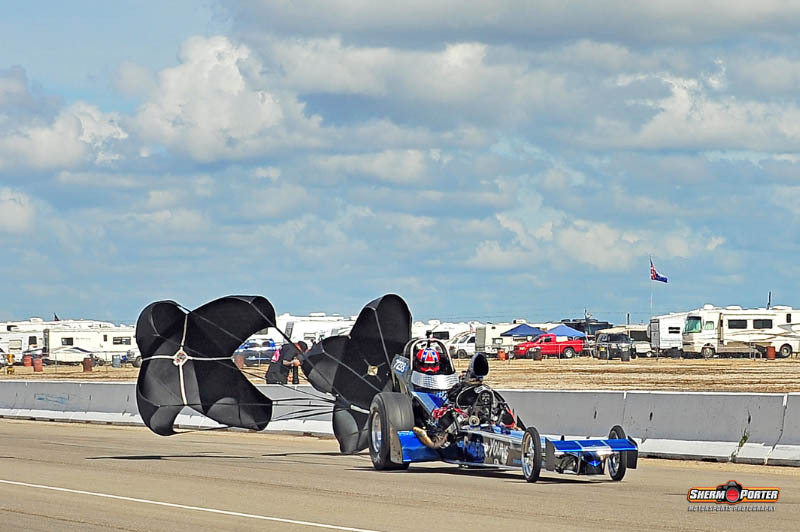 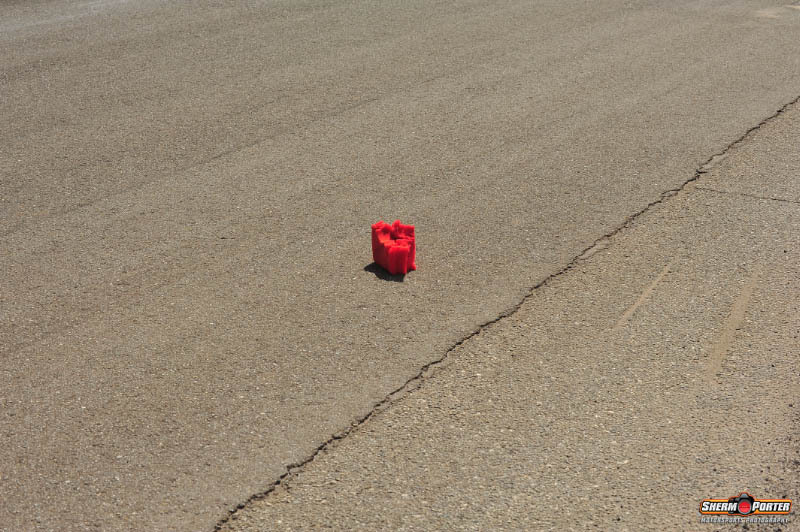 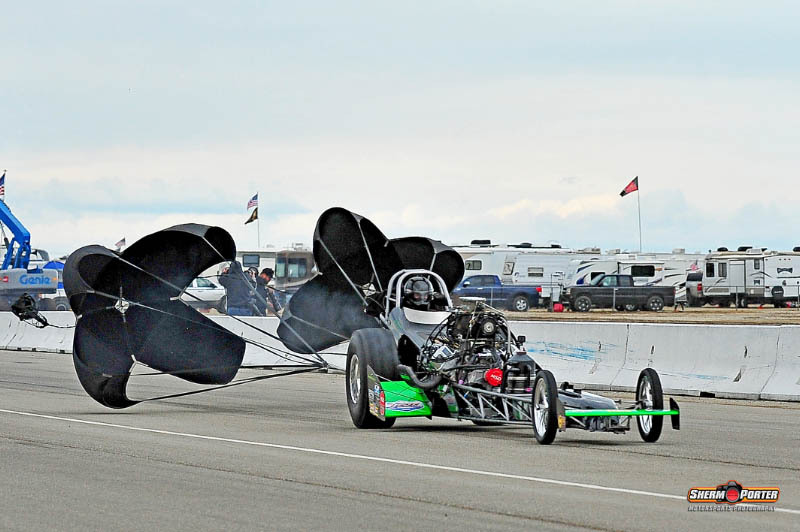 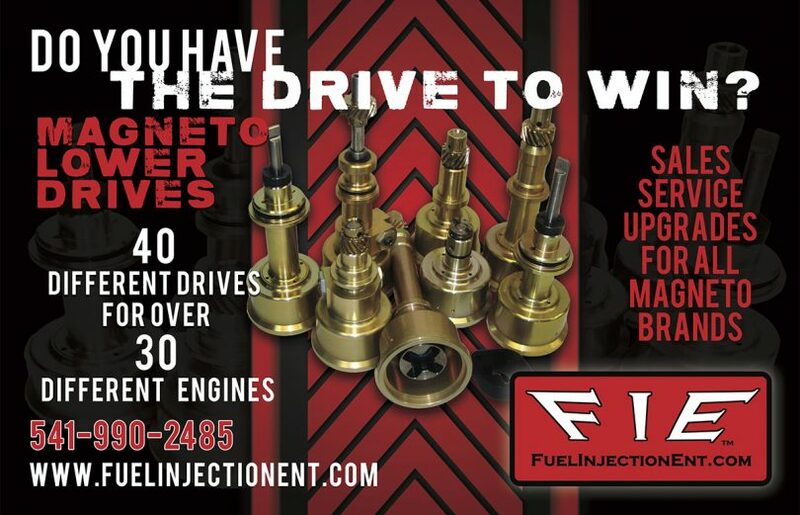 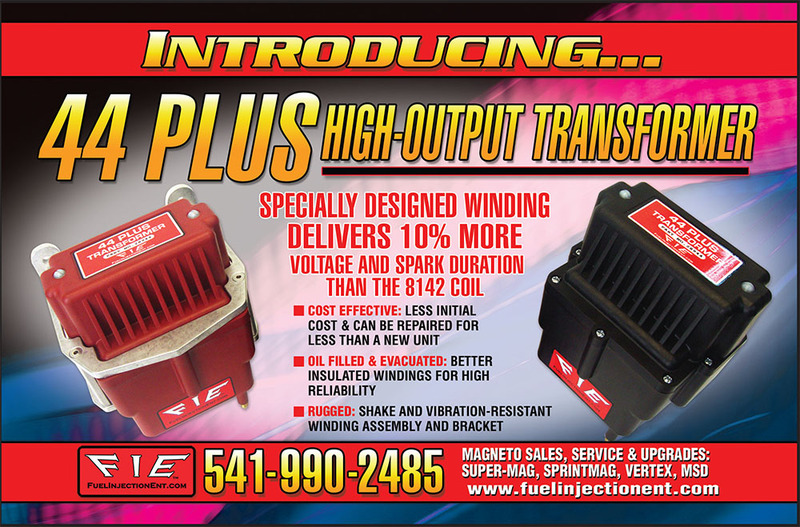 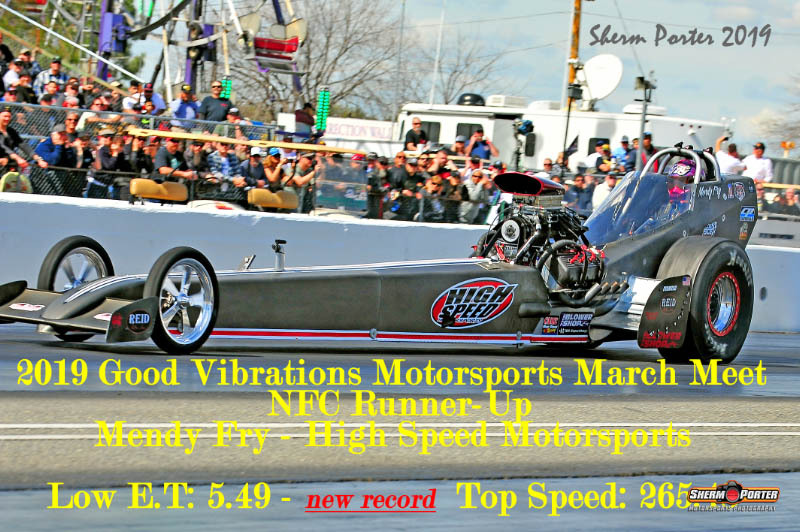 Now, if you ask Mendy Fry how her 2019 March Meet appearance was, well, there’s quite a story to tell…the coupler broke, which immediately sent the engine to 11,000+ rpm’s sending the blower and a few billet items to the scrap pile…next up was a run to the sandbox…all while qualifying for the 8-car field…tough team indeed! 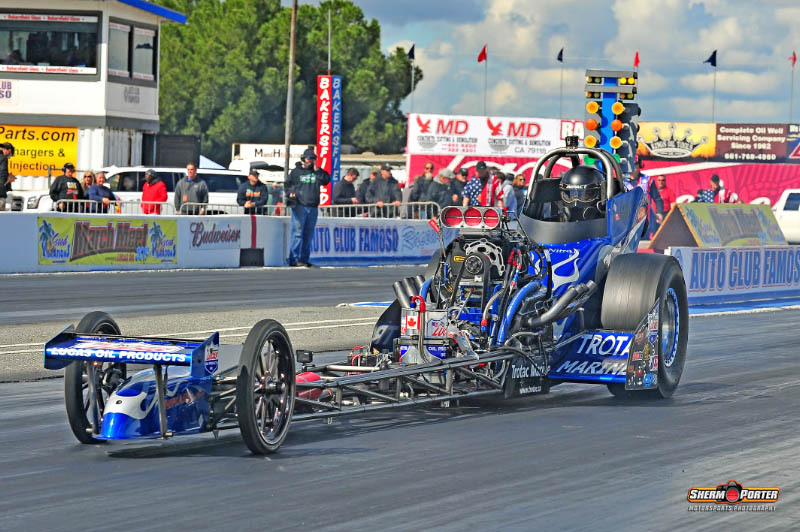 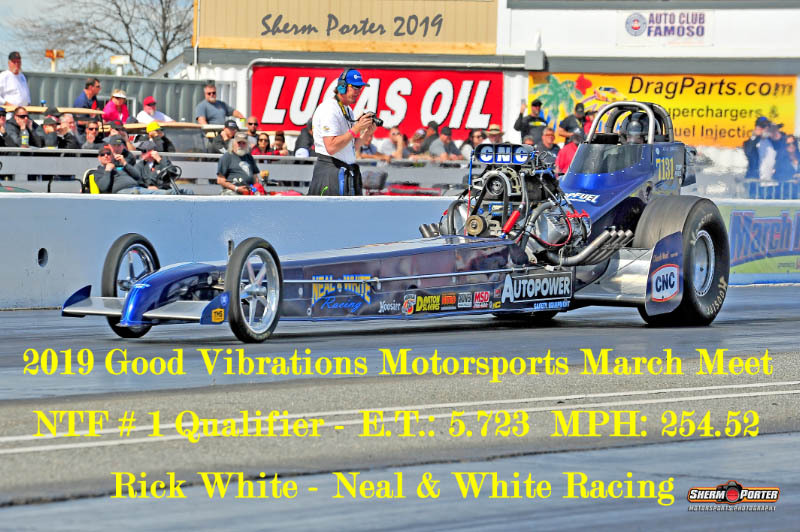 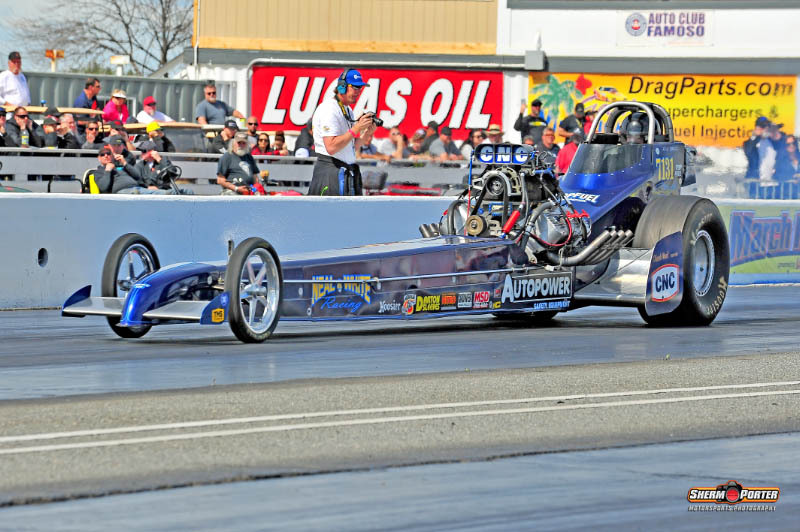 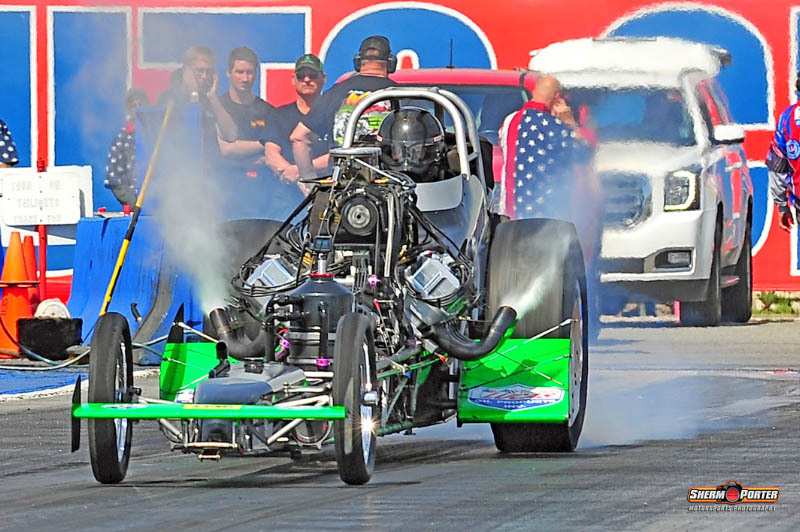 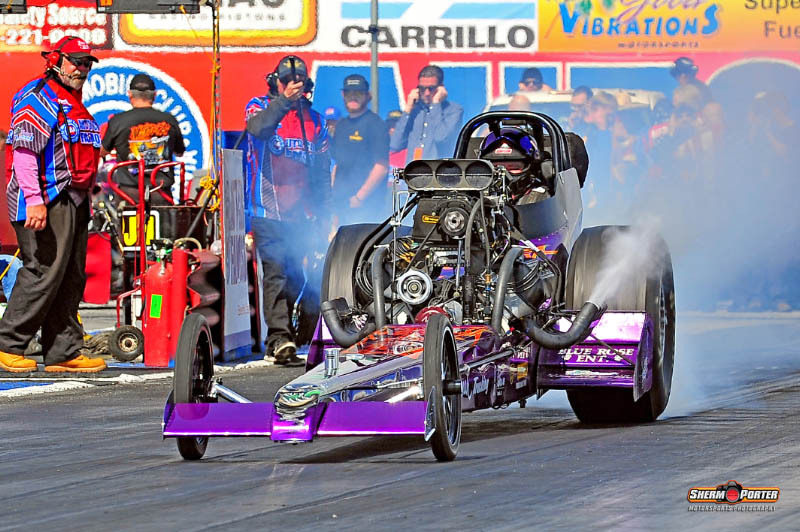 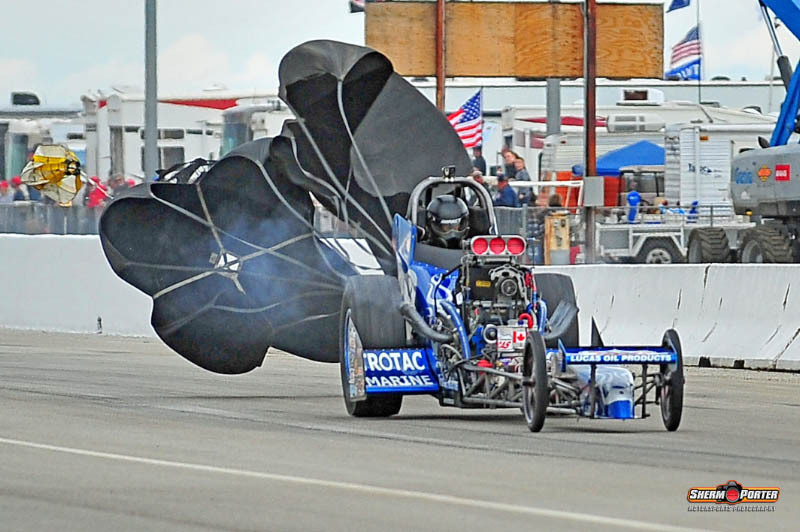 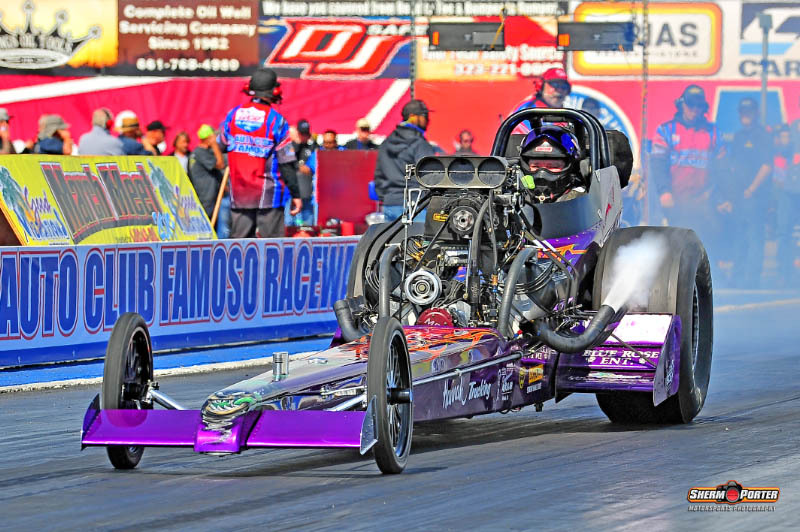 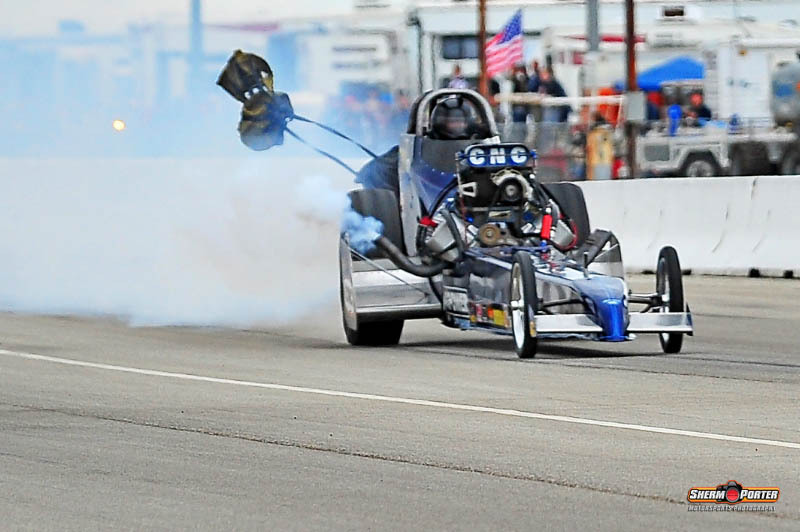 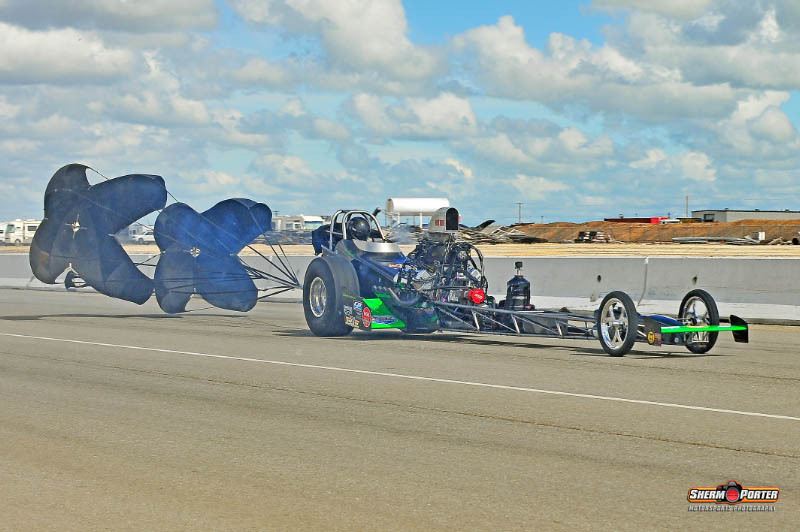 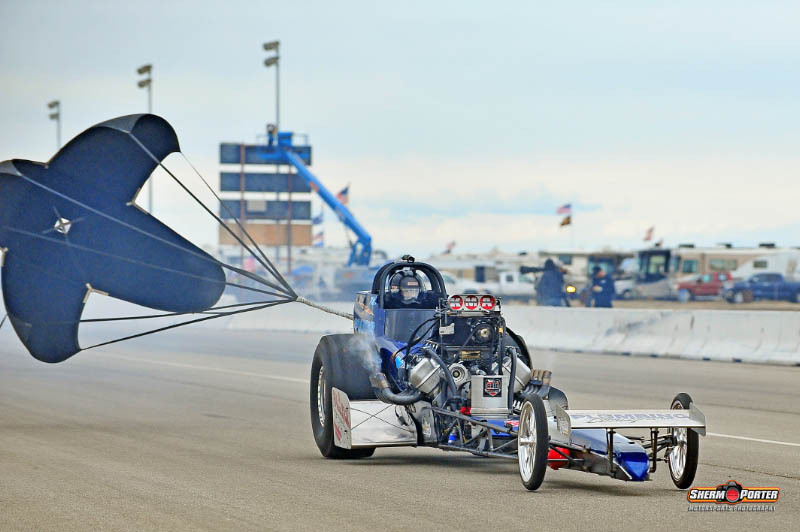 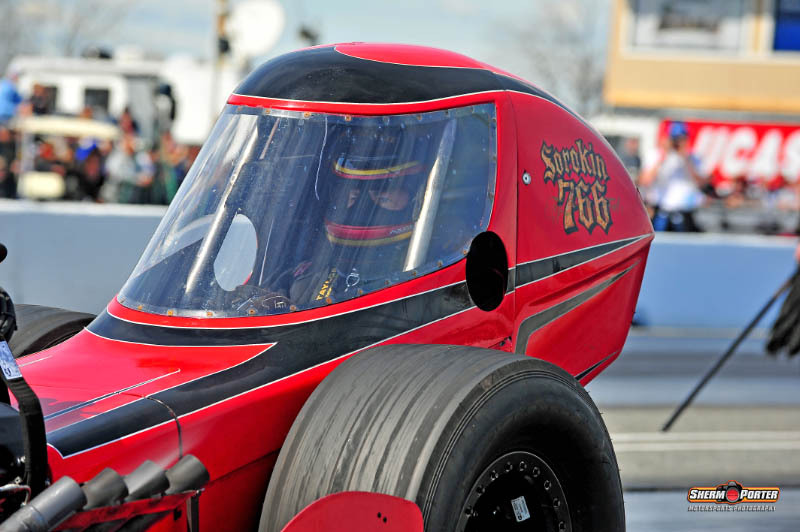 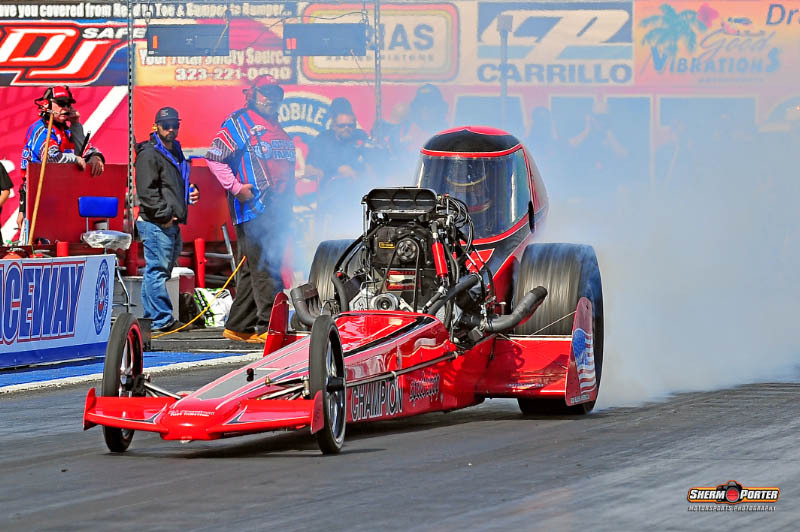 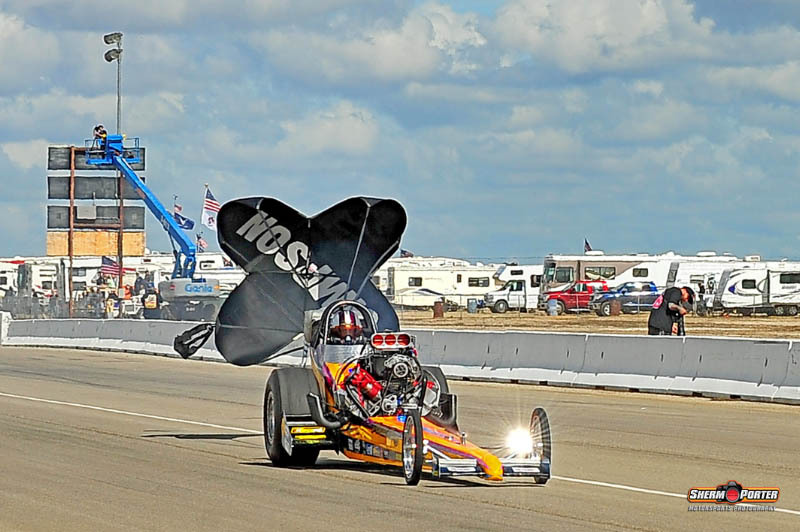 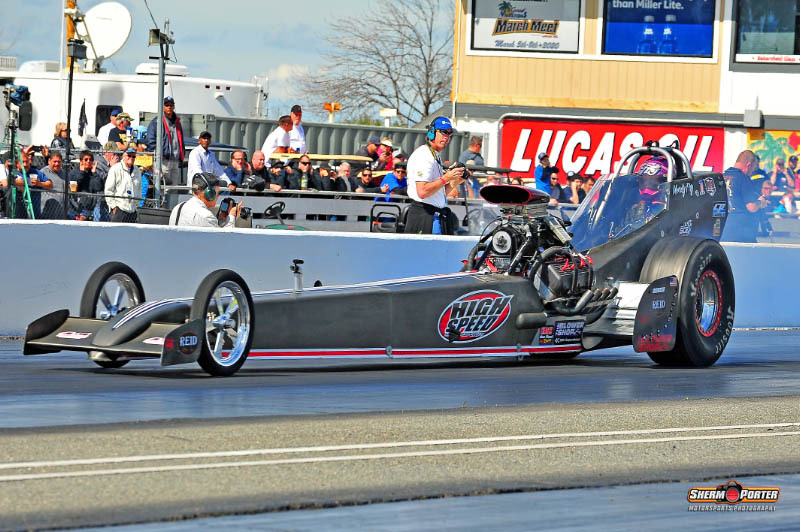 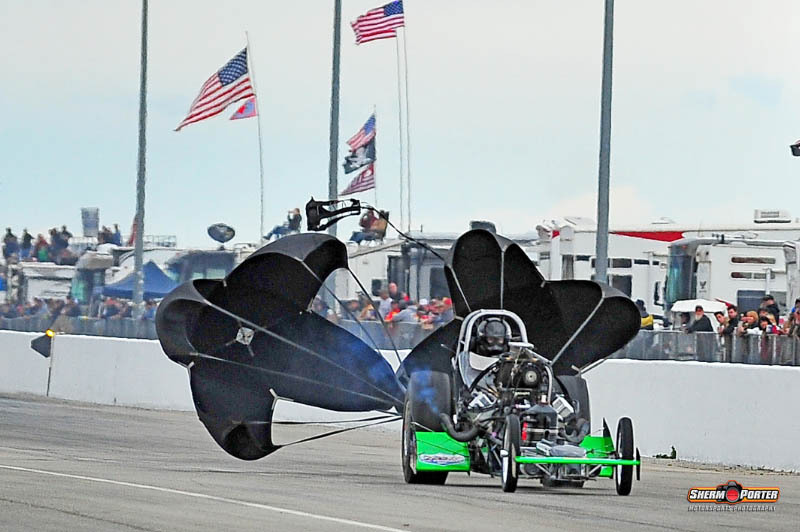 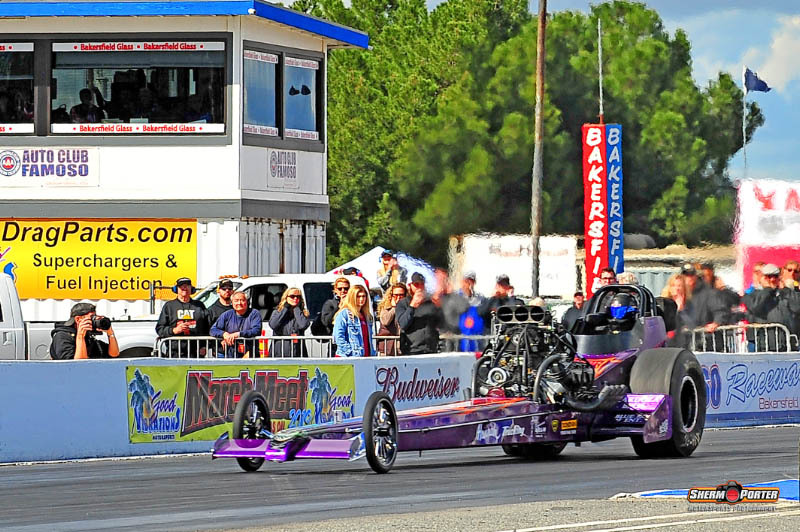 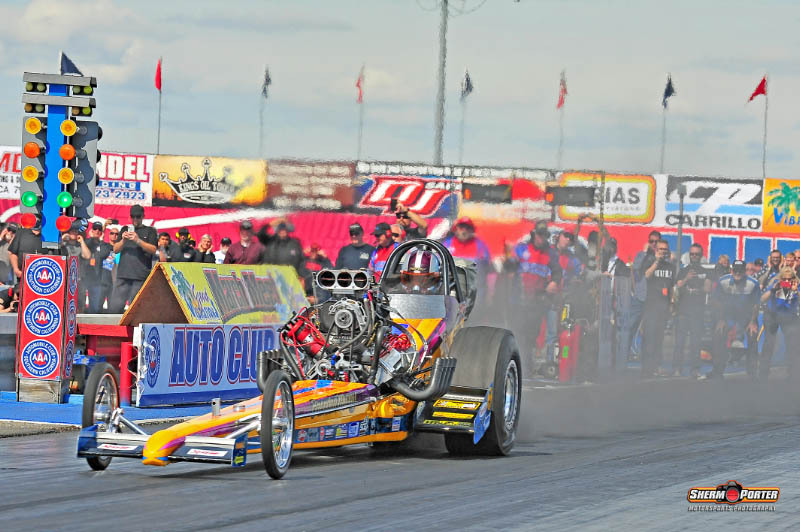 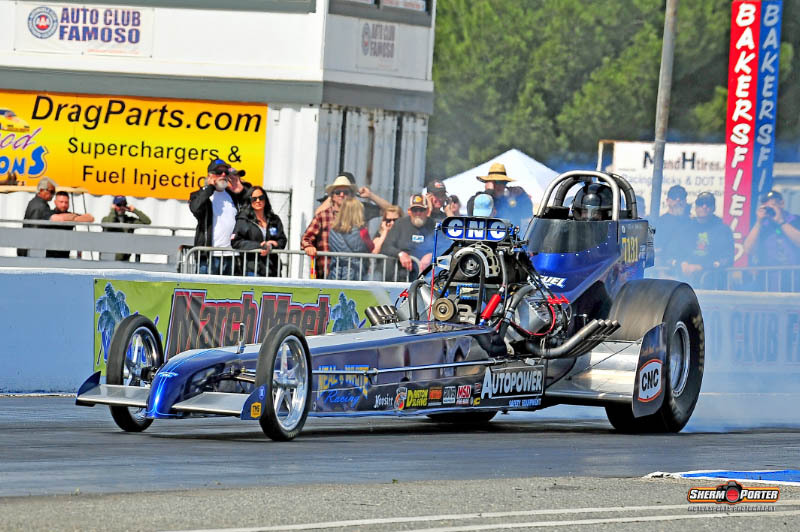 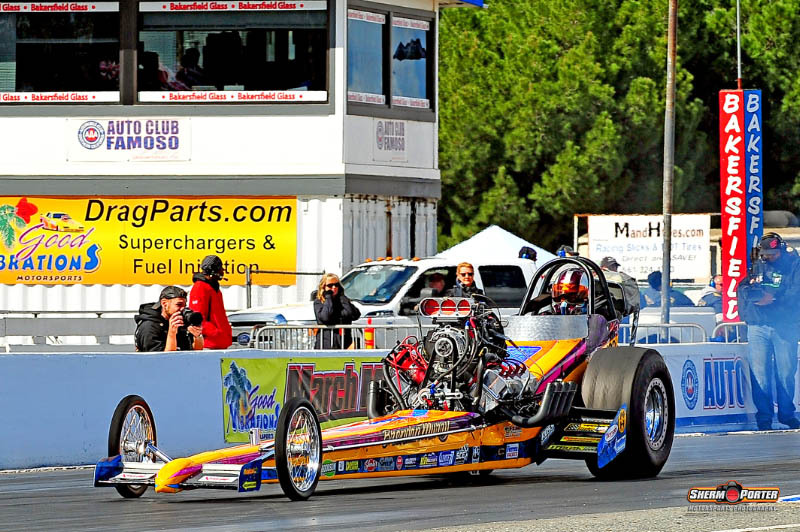 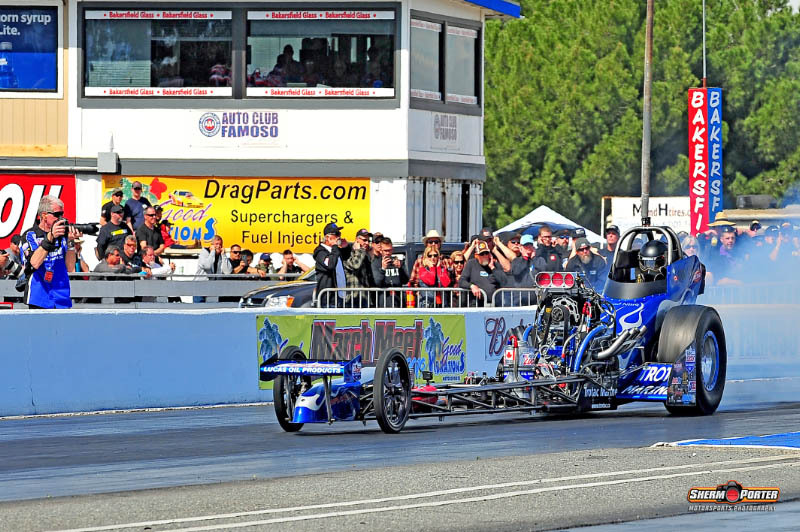 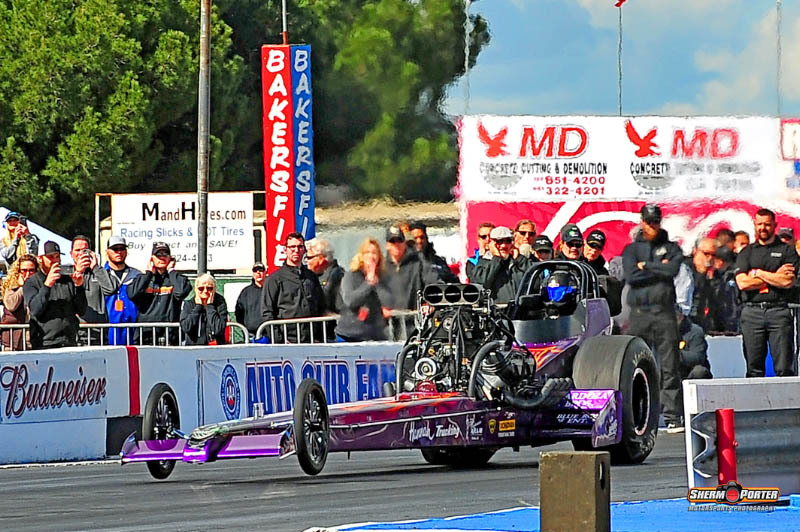 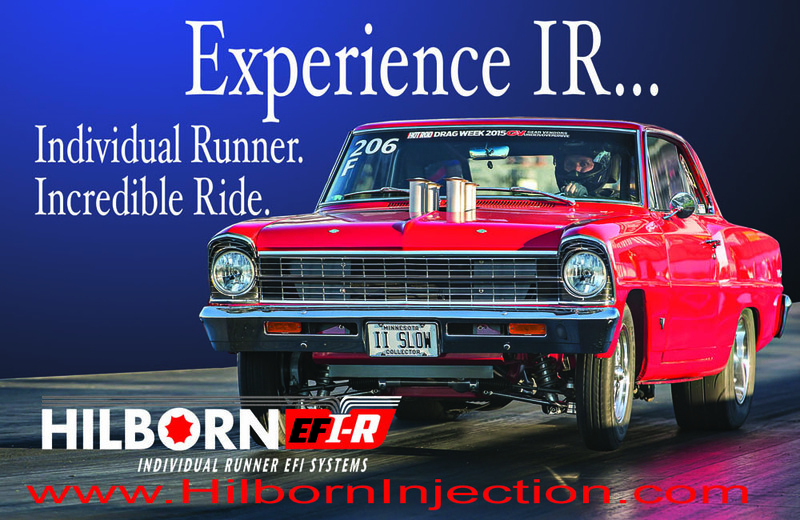 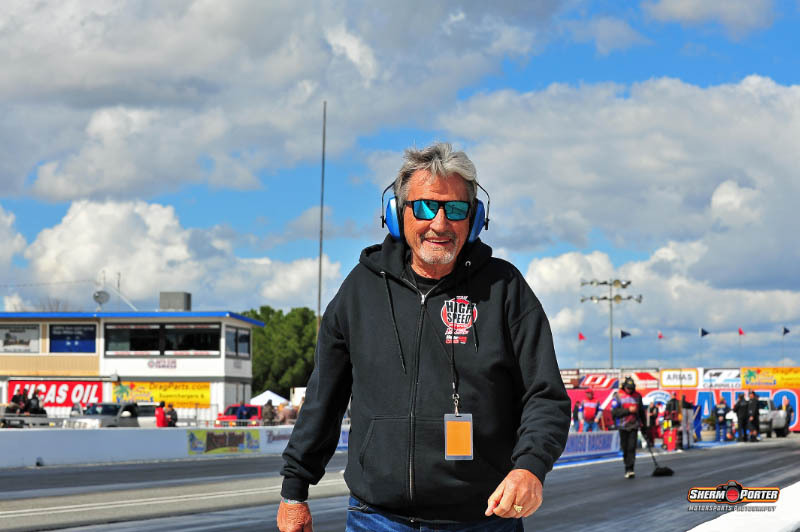 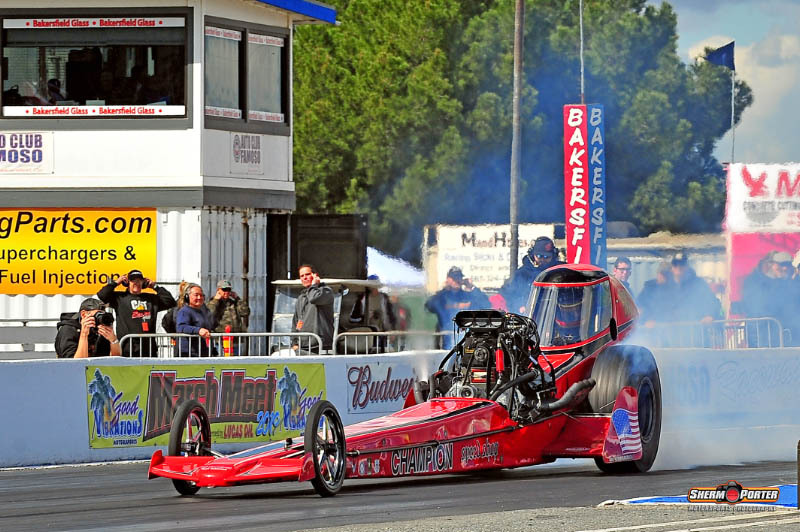 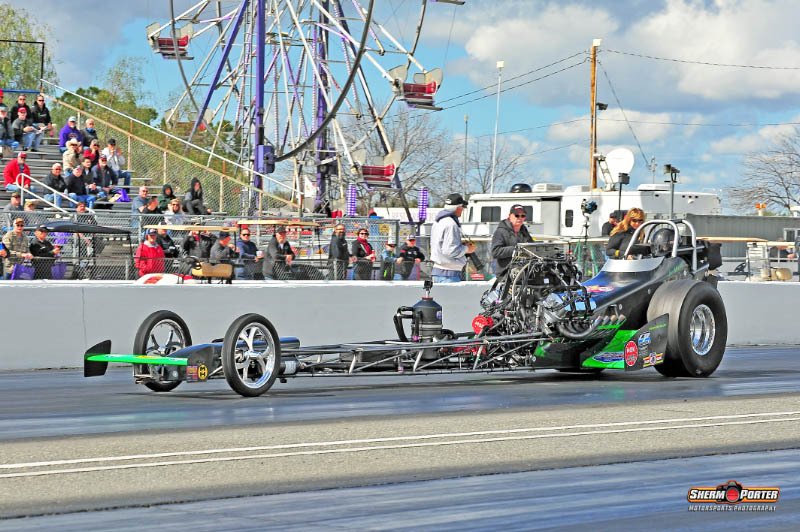 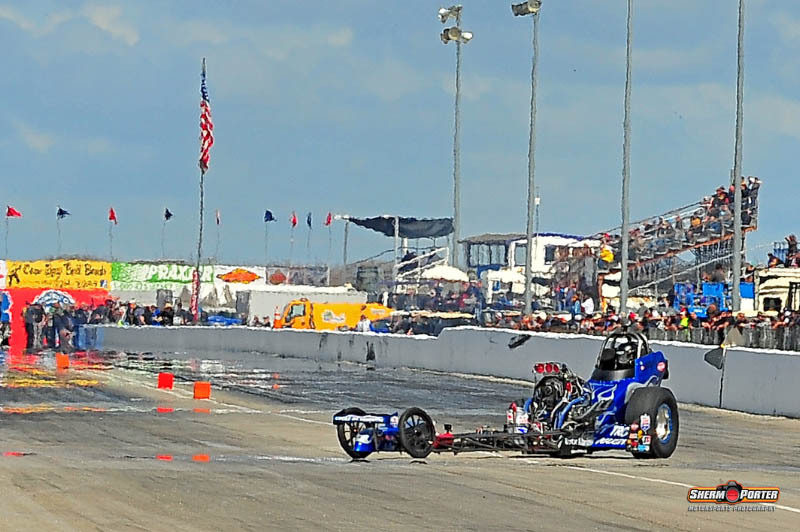 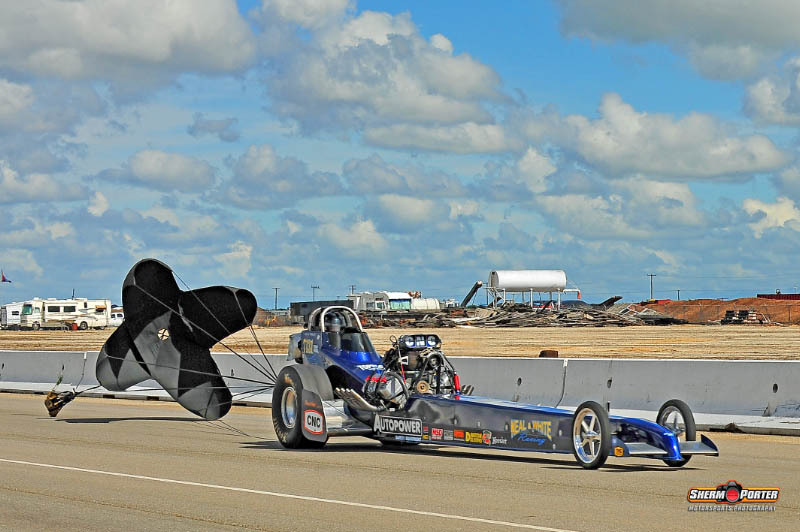 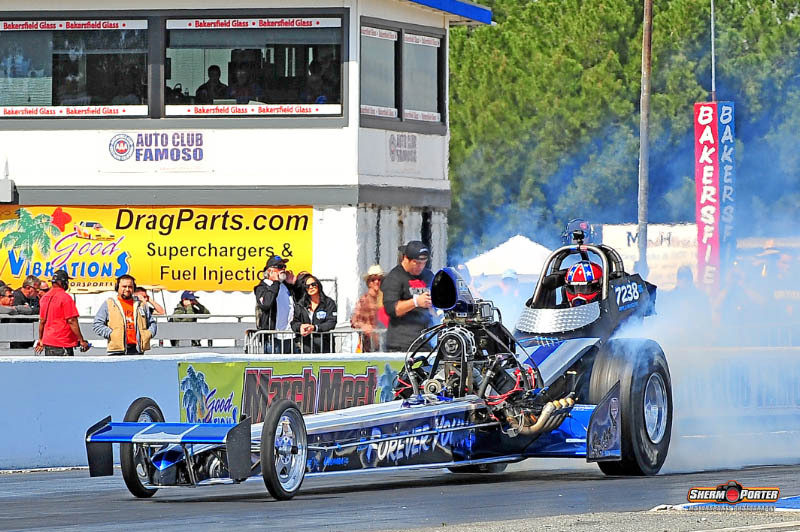 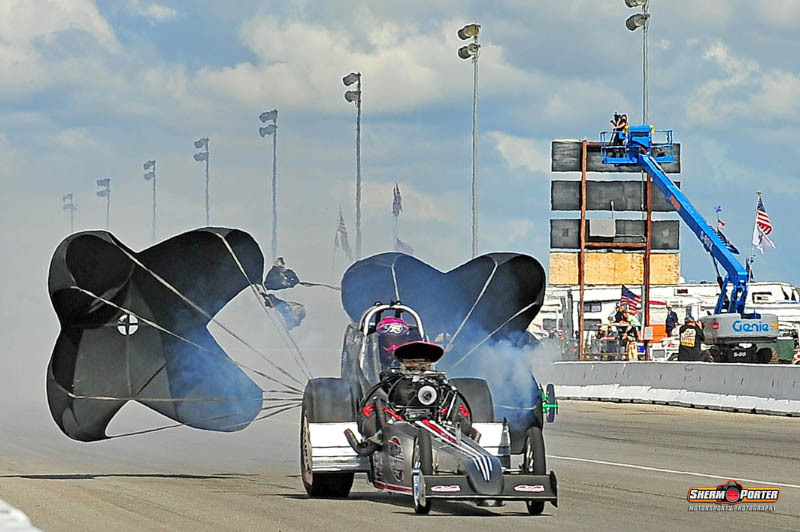 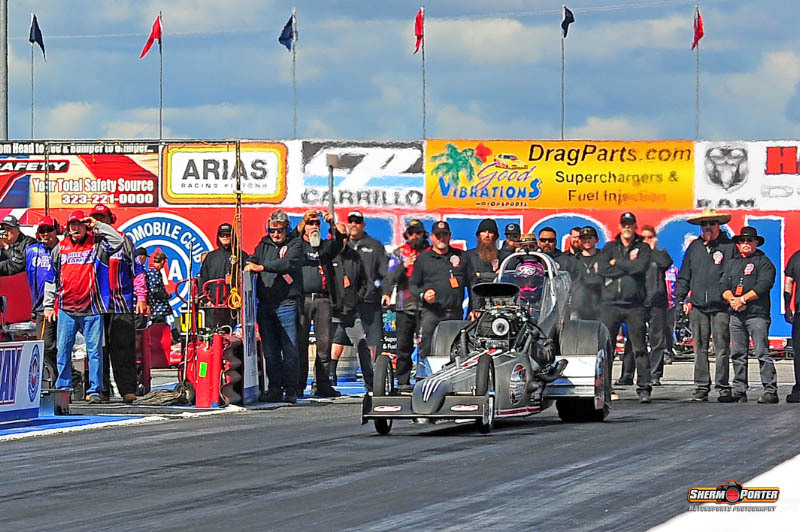 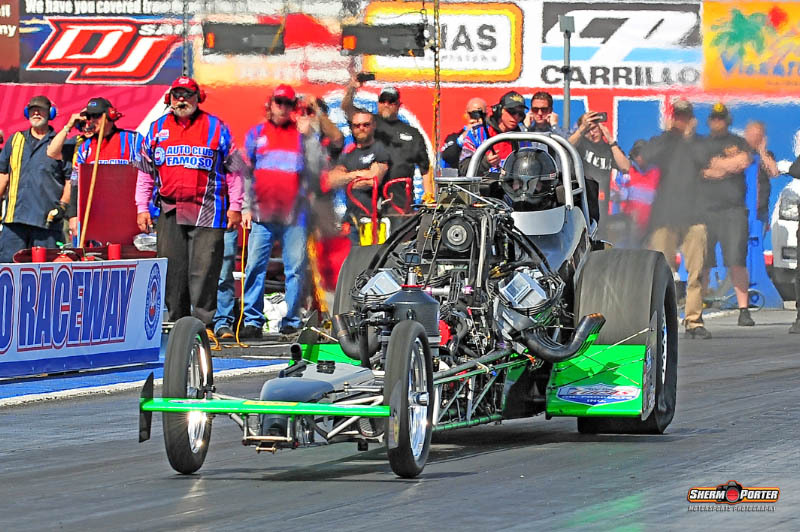 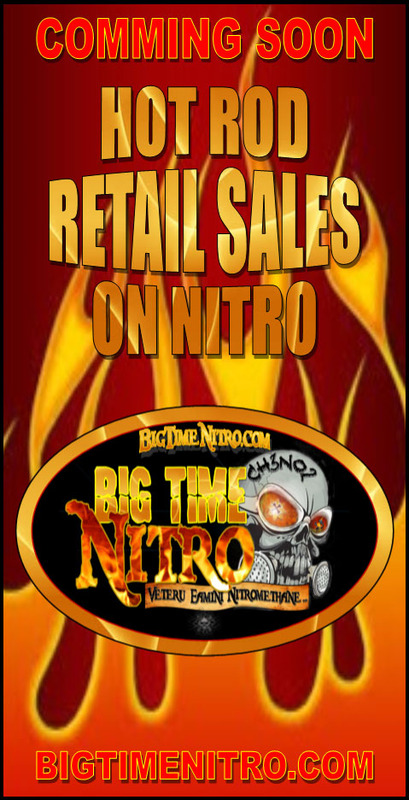 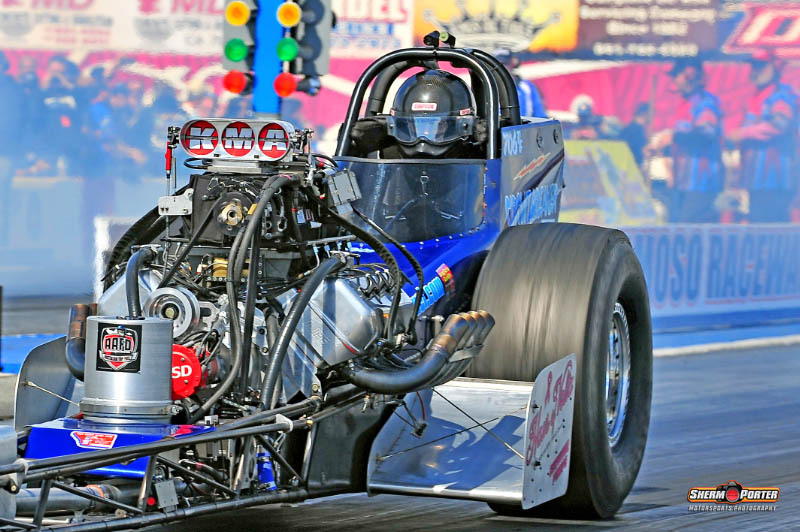 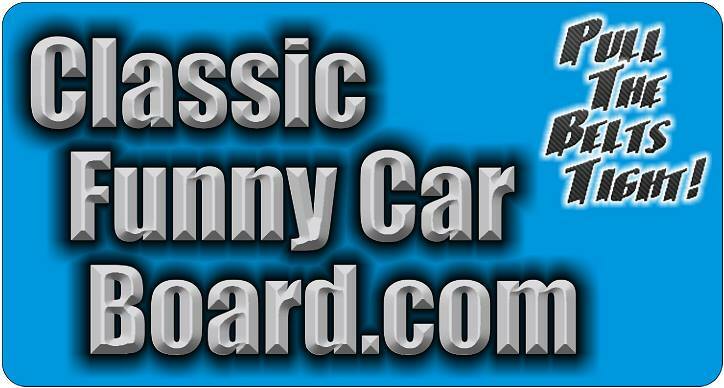 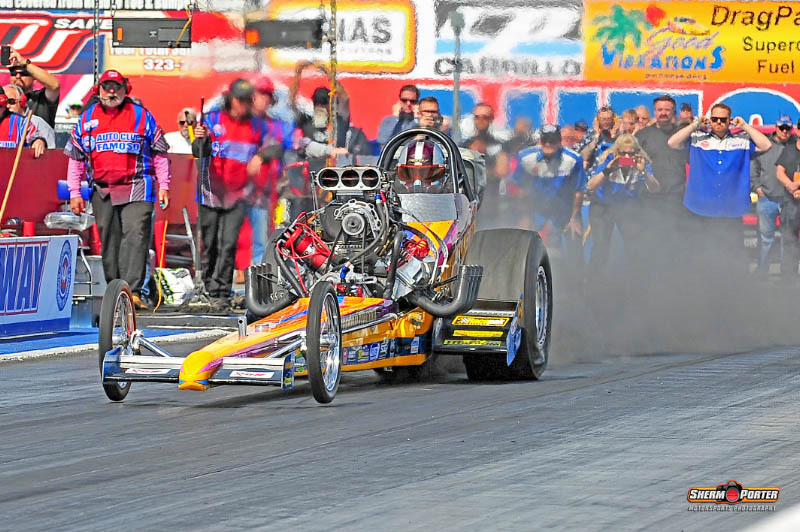 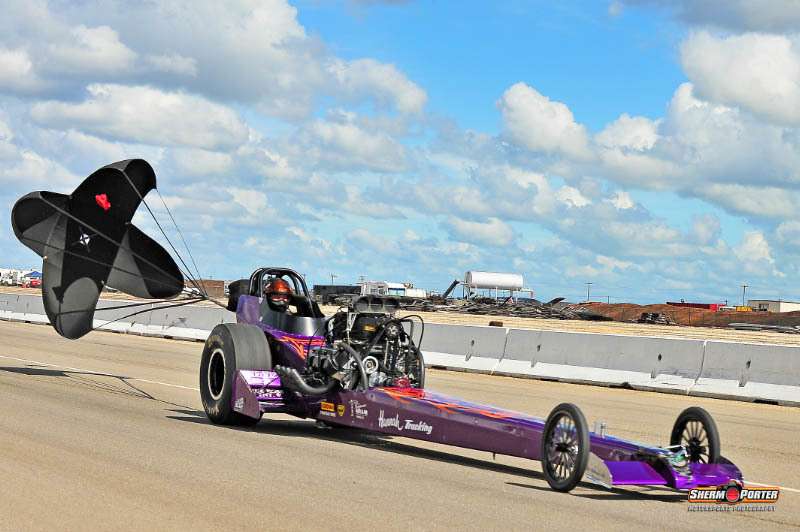 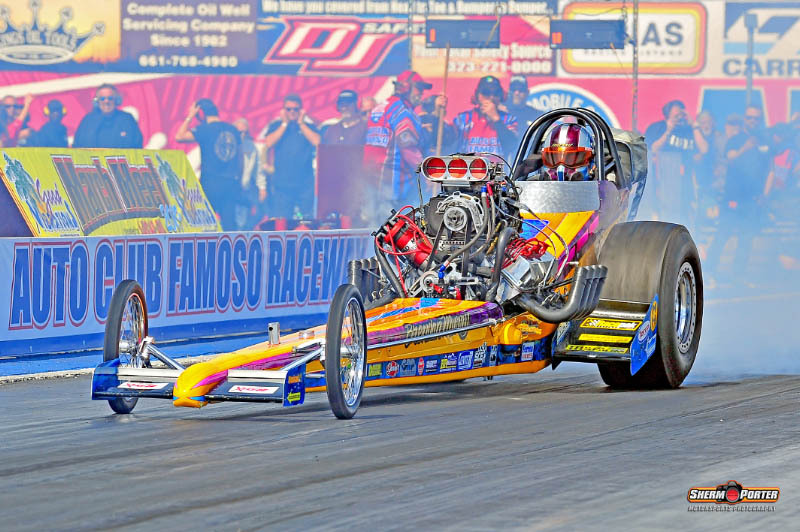 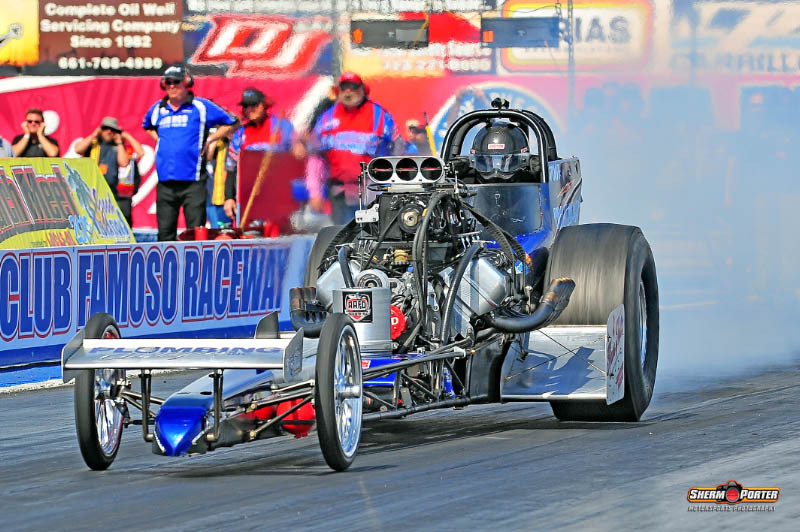 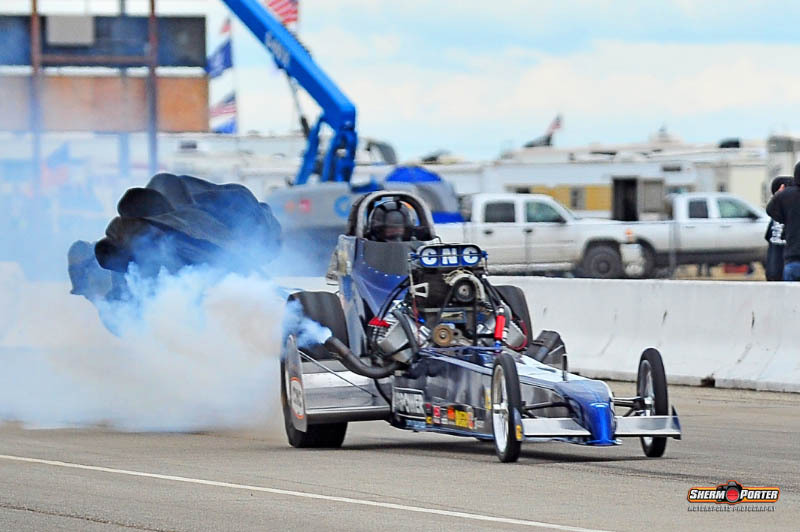 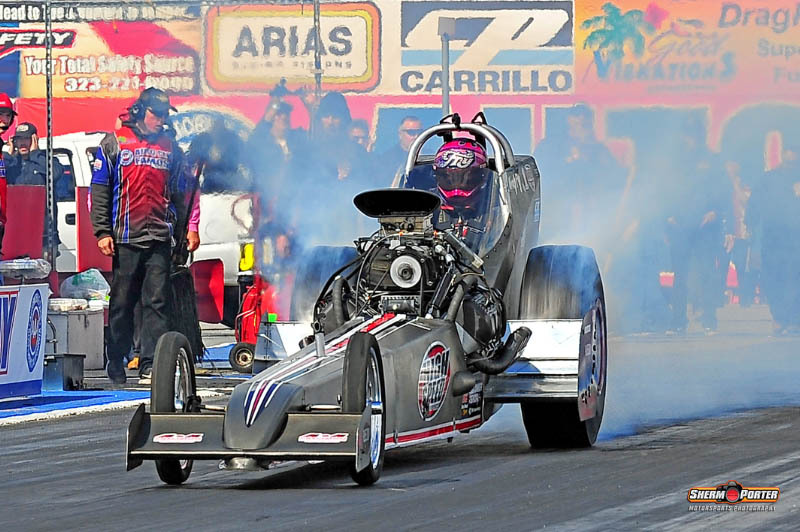 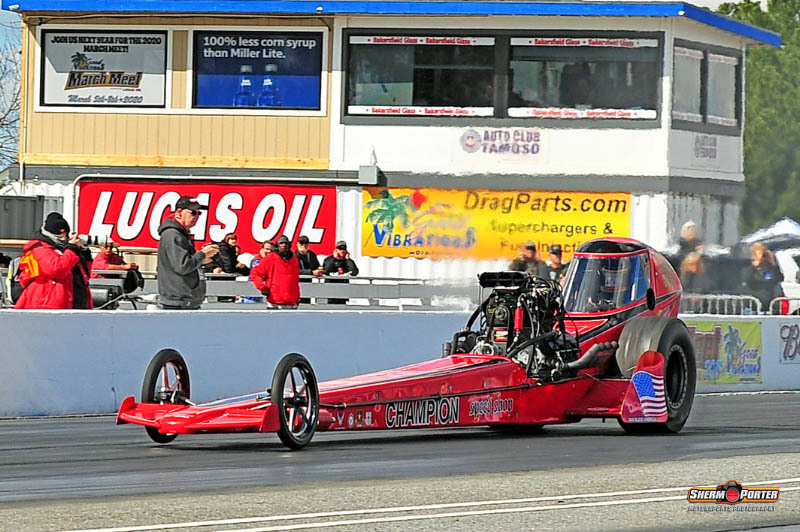 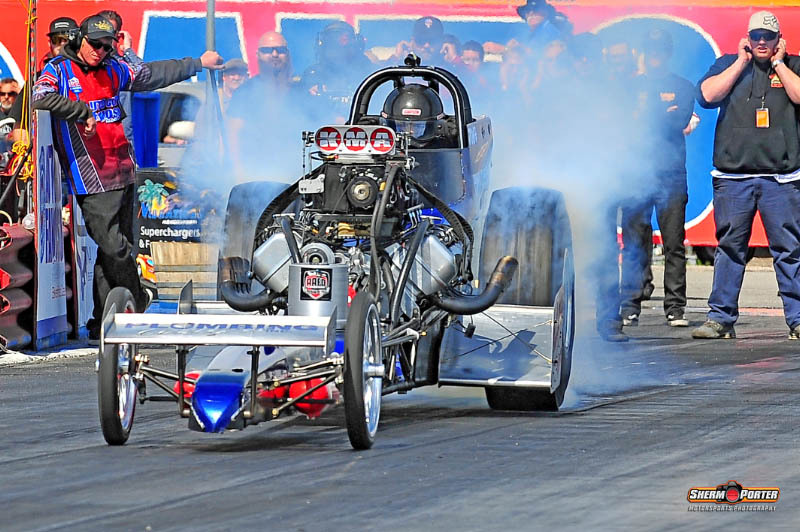 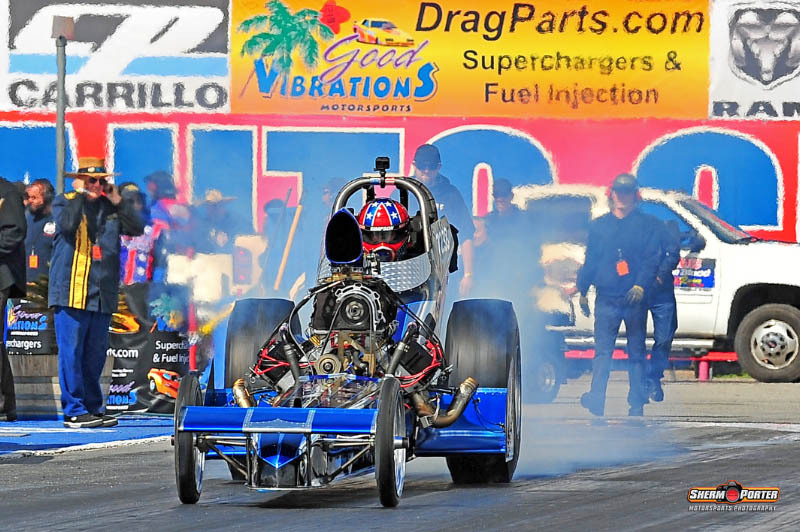 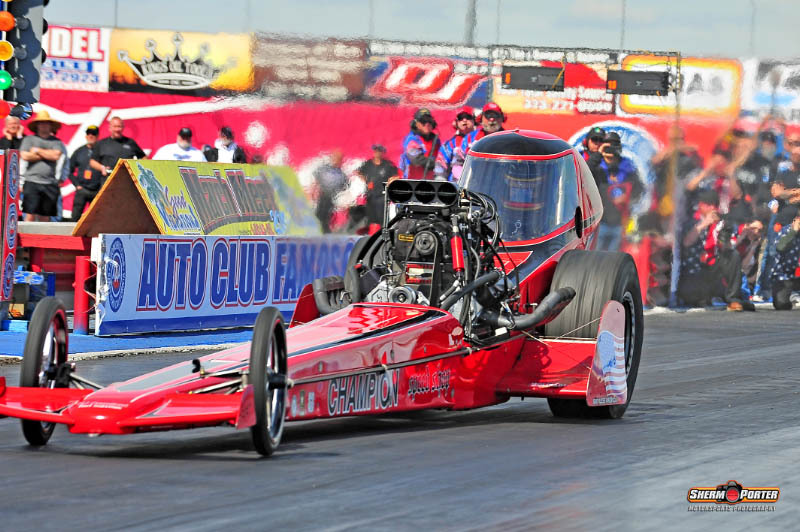 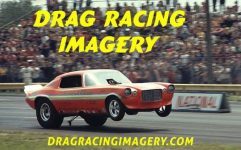 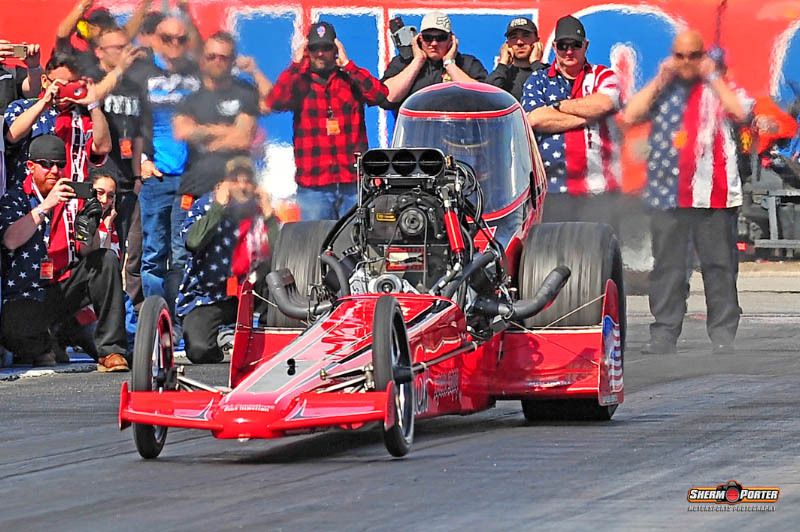 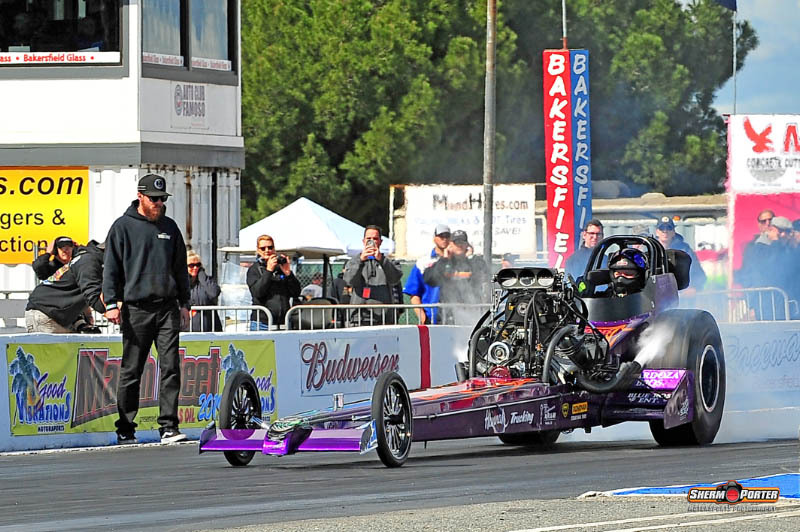 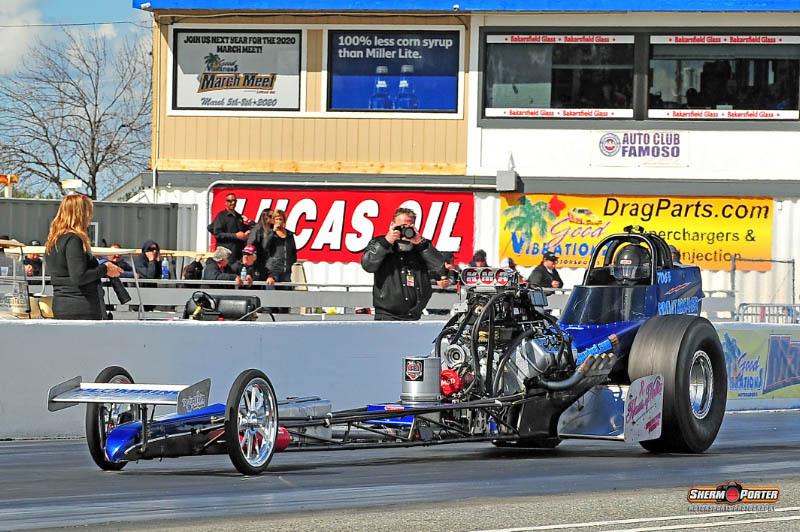 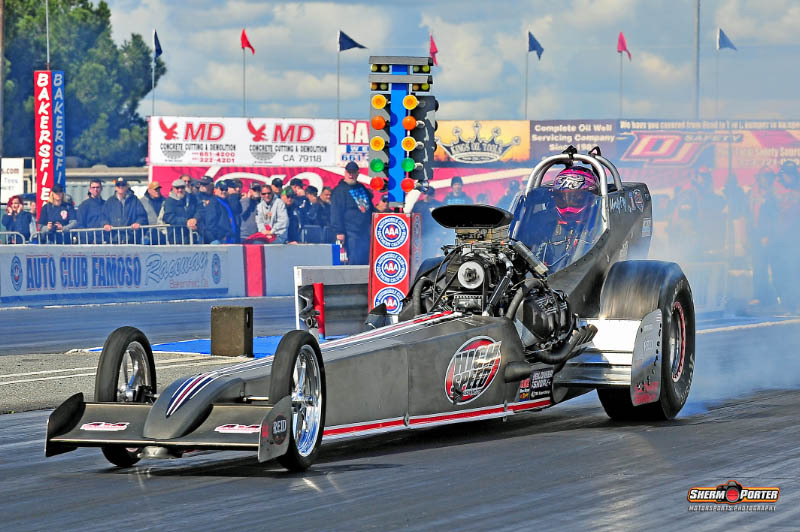 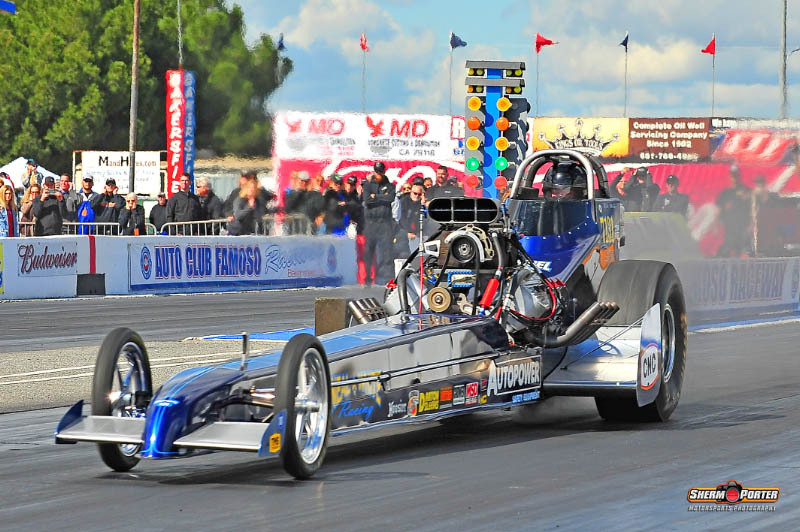 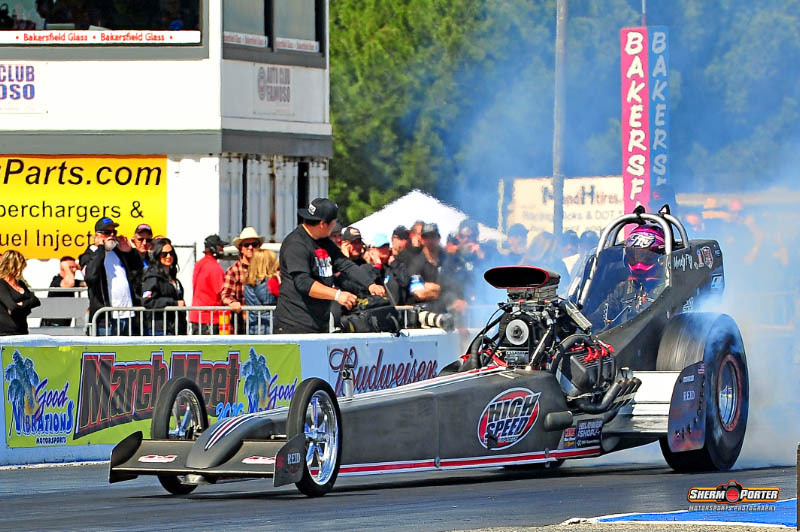 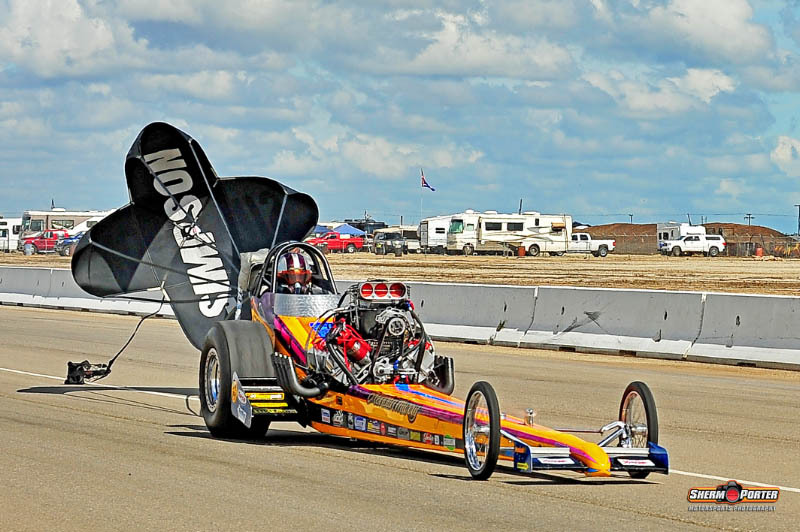 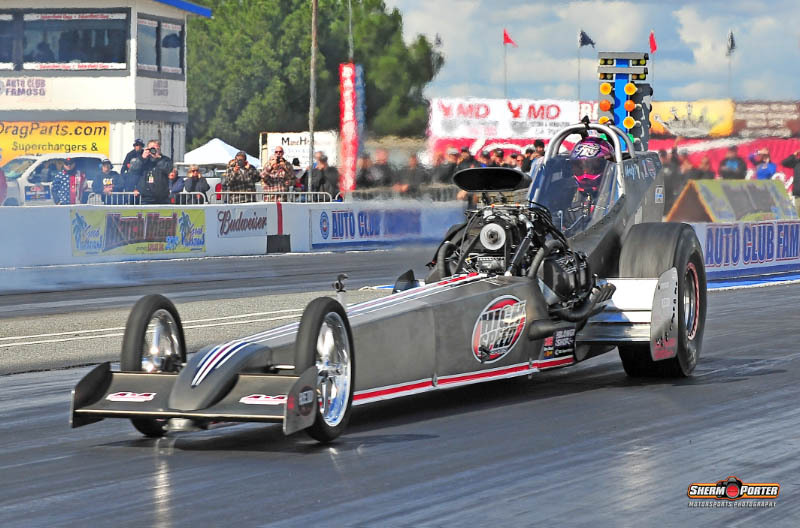 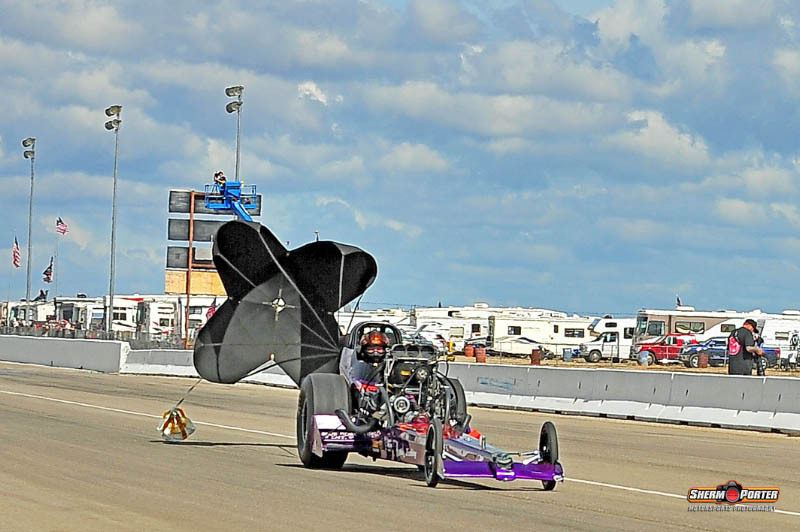 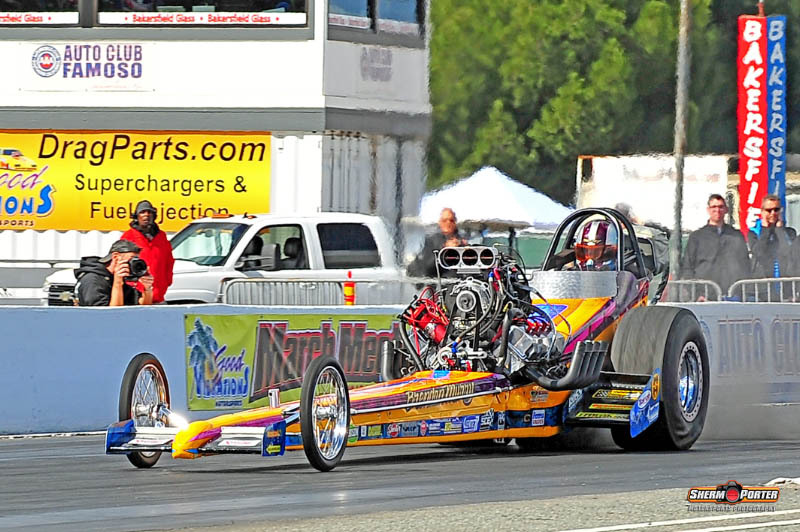 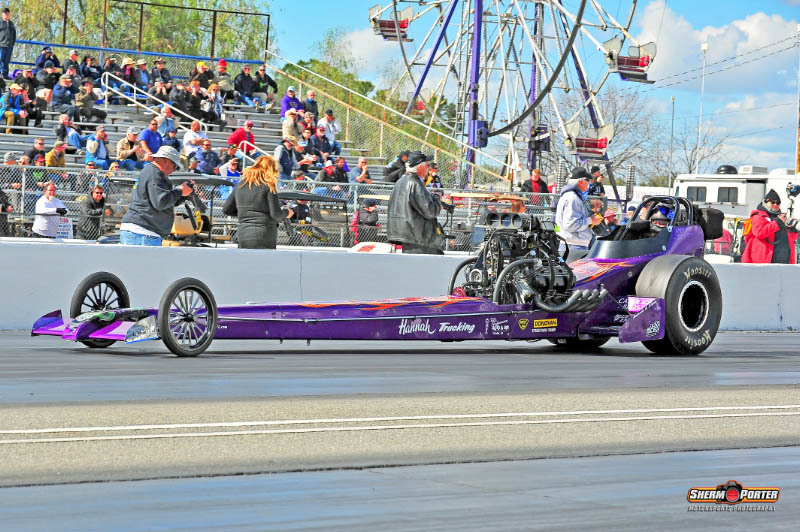 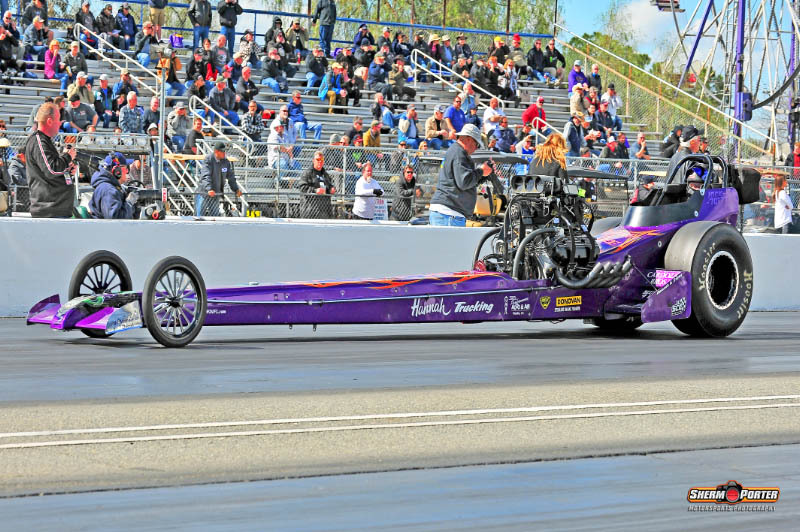 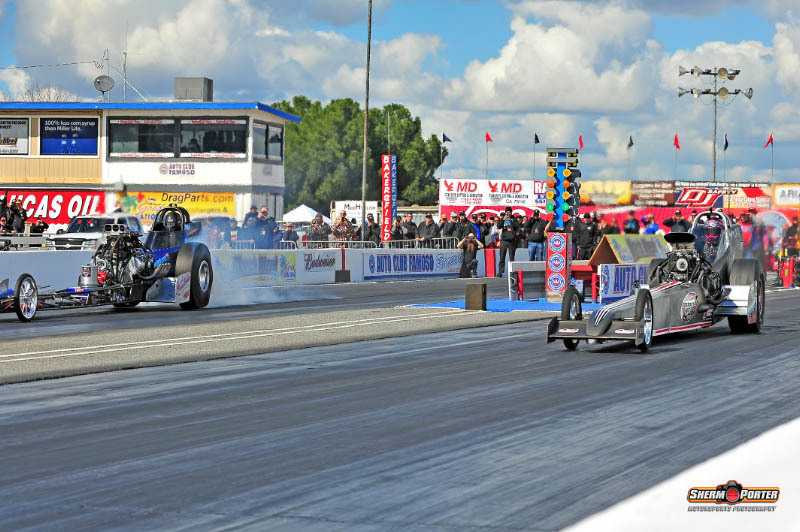 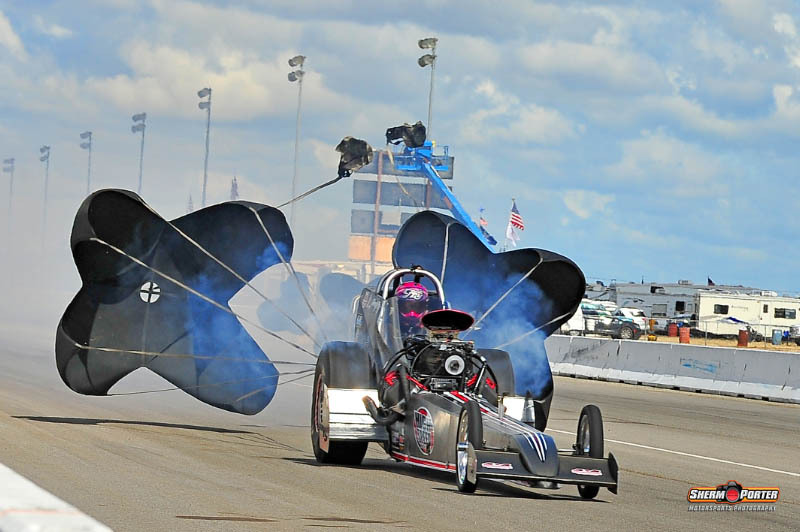 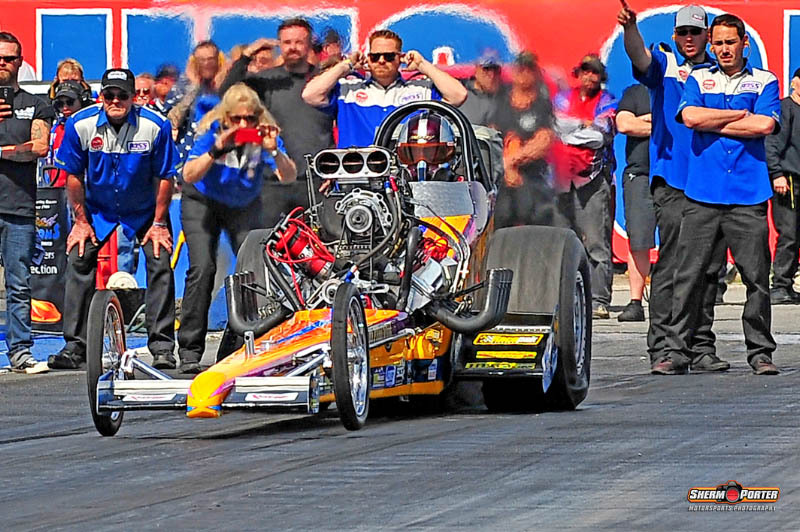 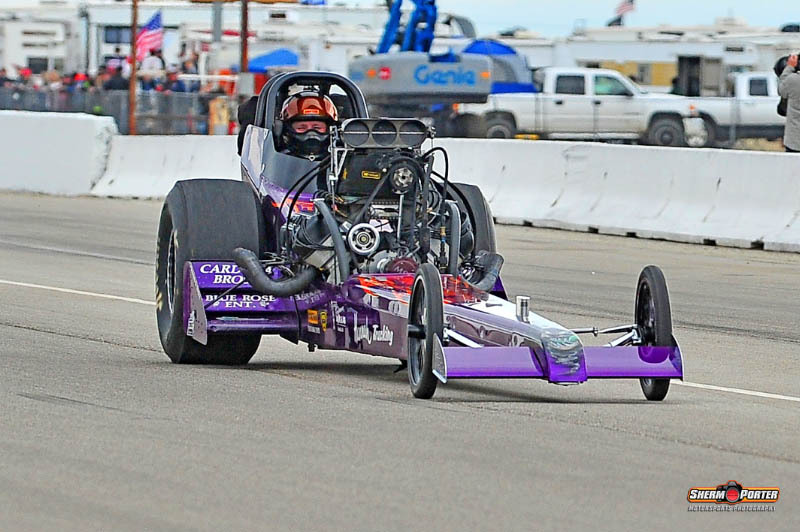 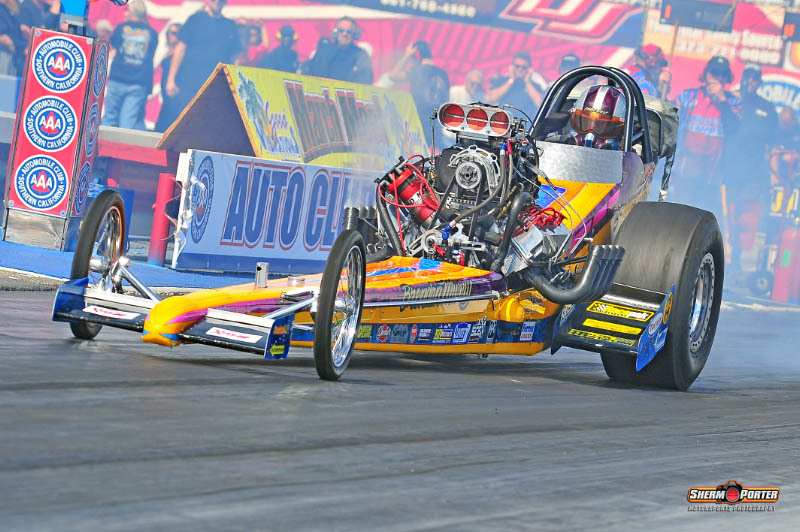 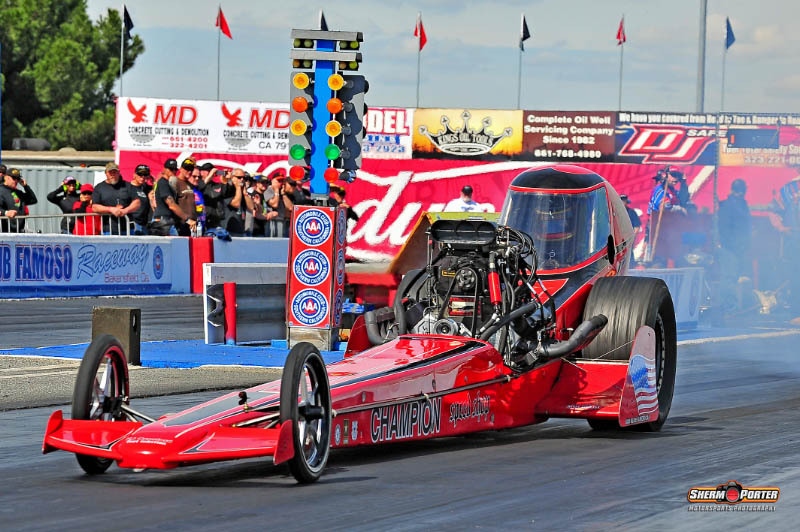 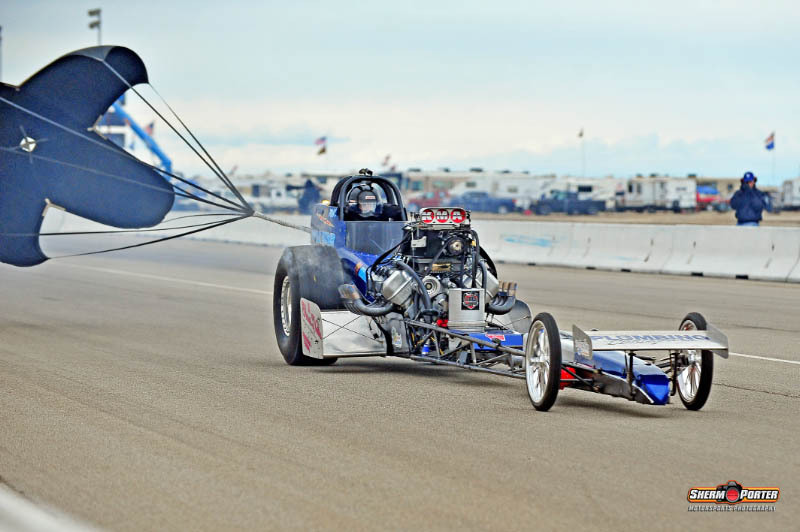 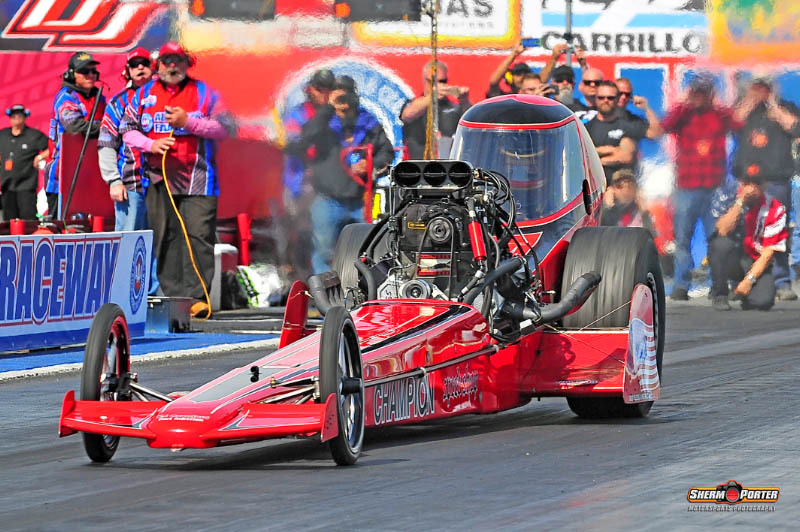 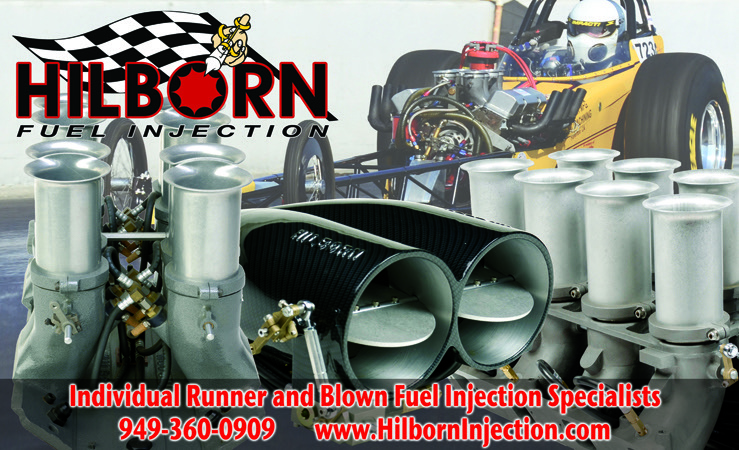 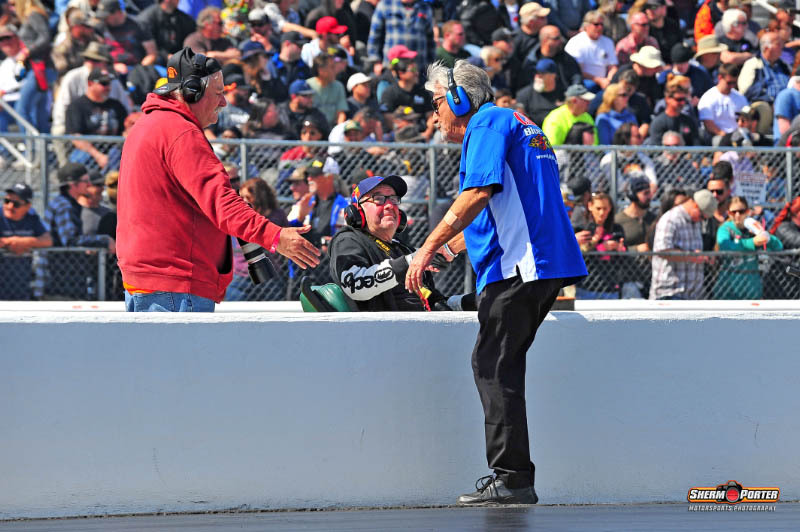 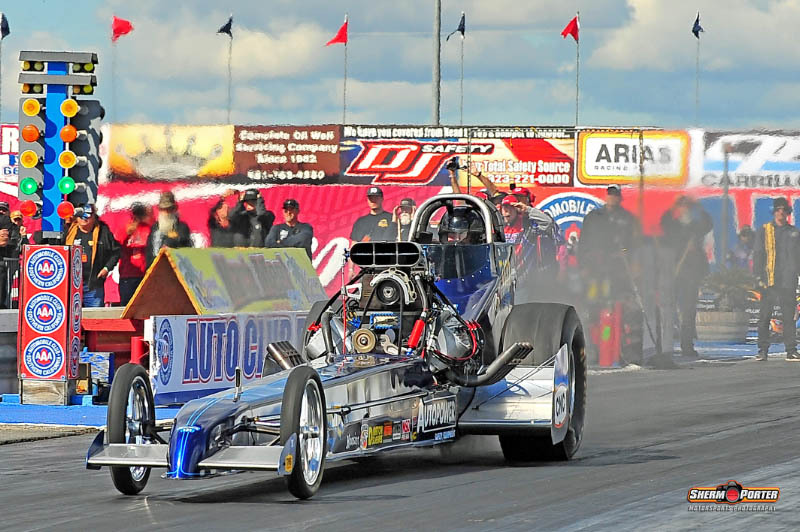 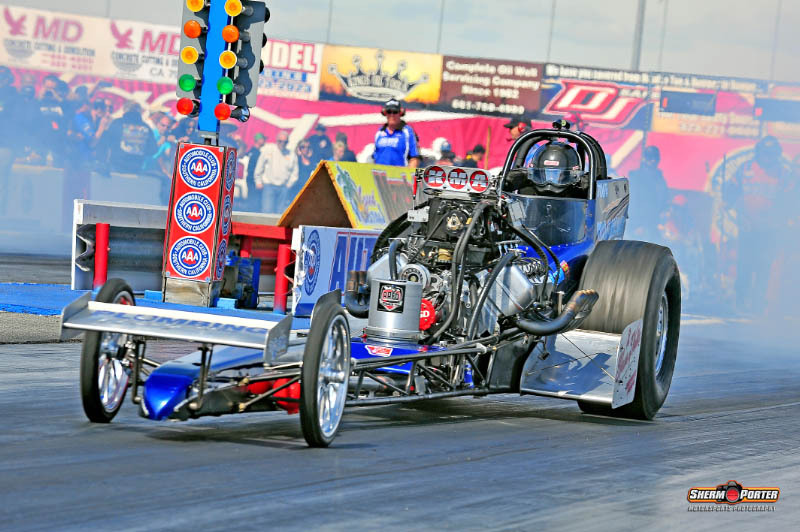 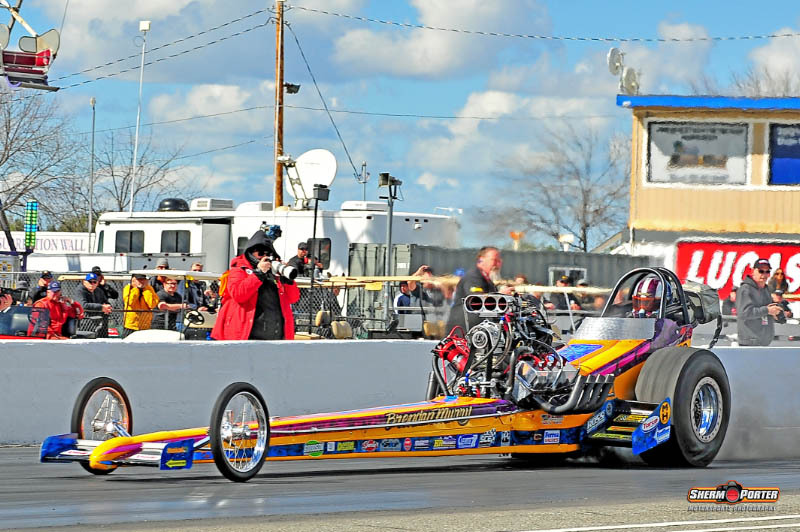 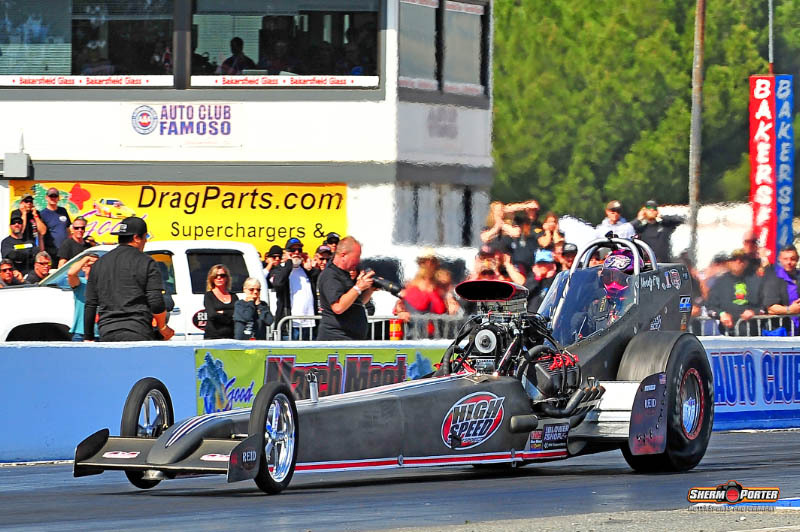 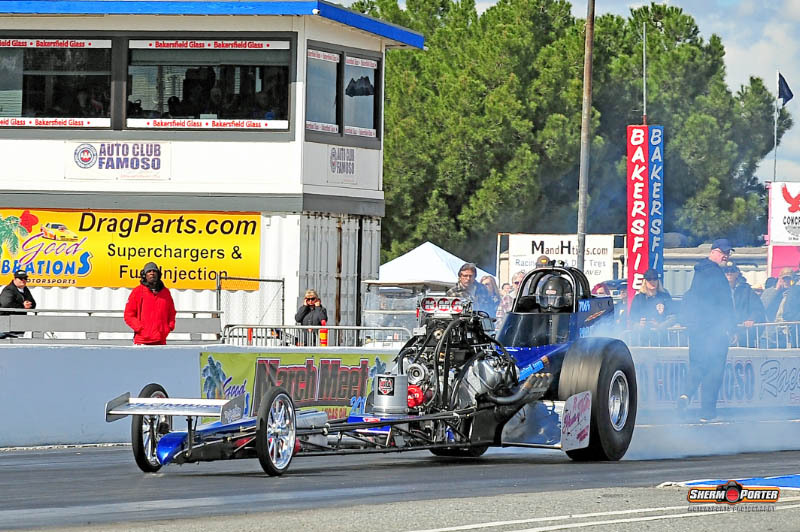 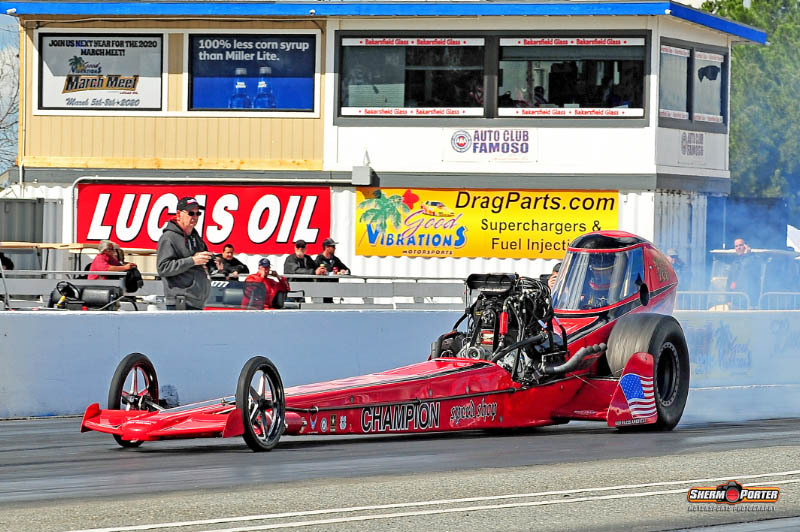 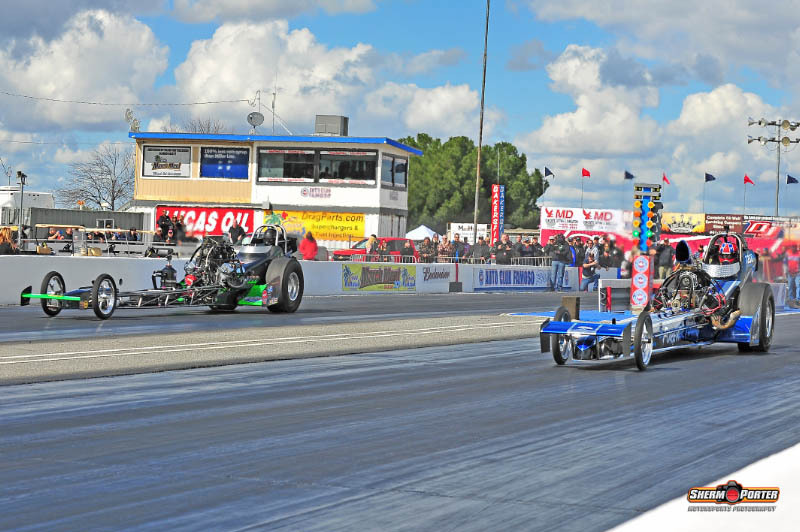 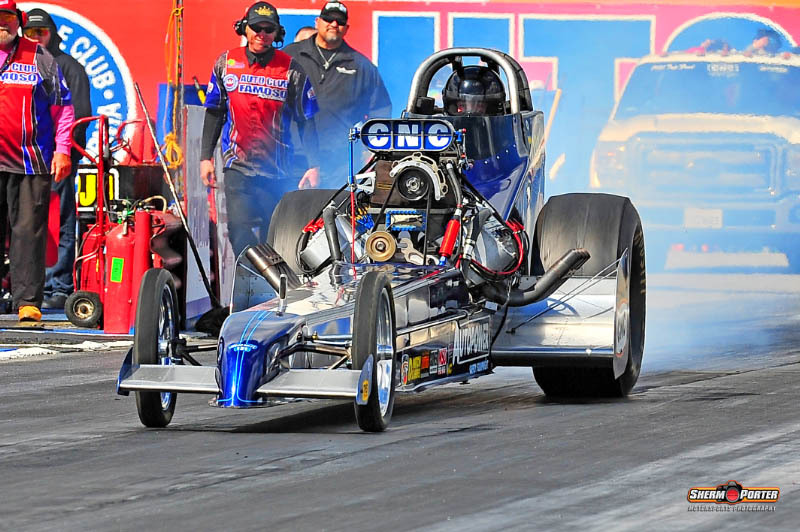 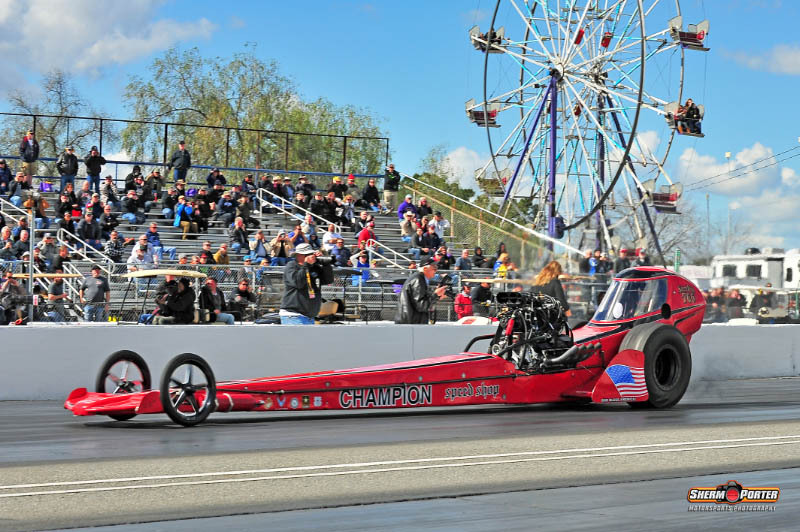 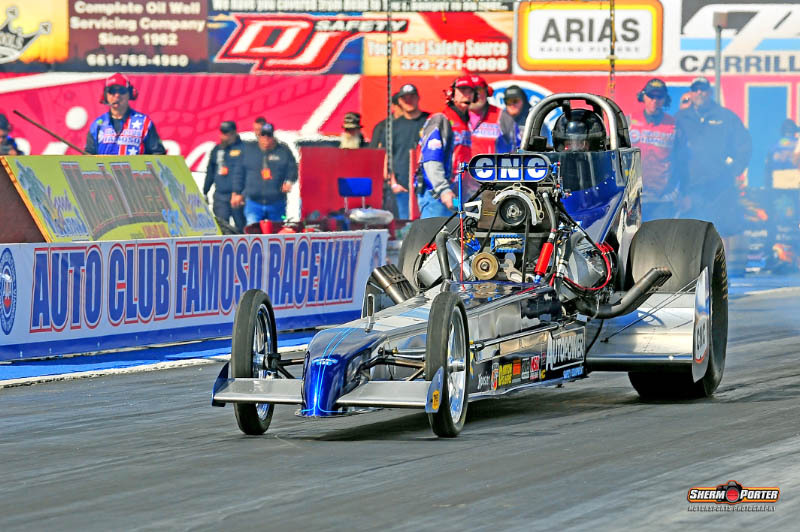 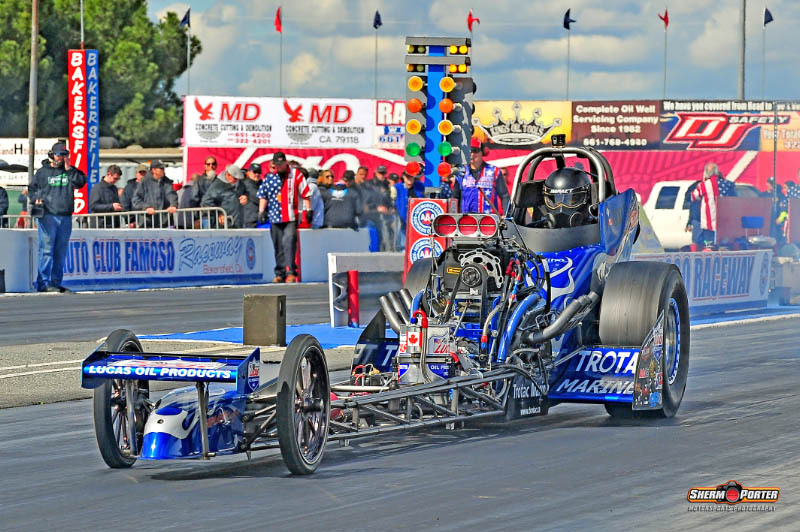 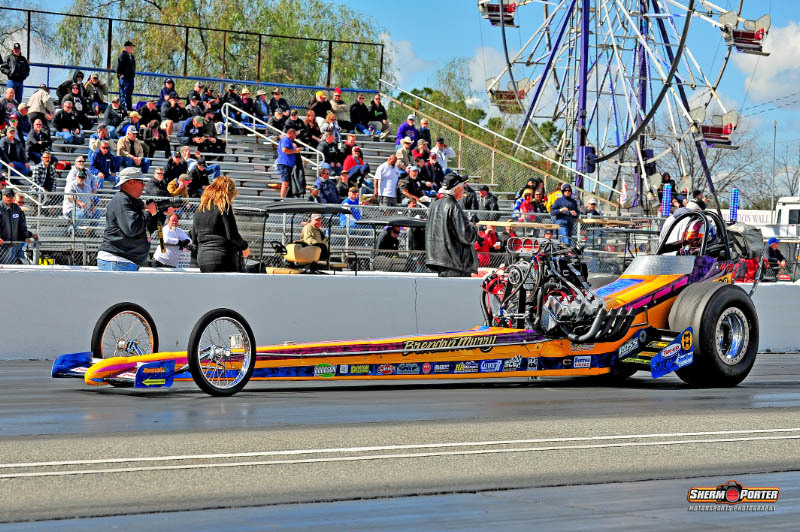 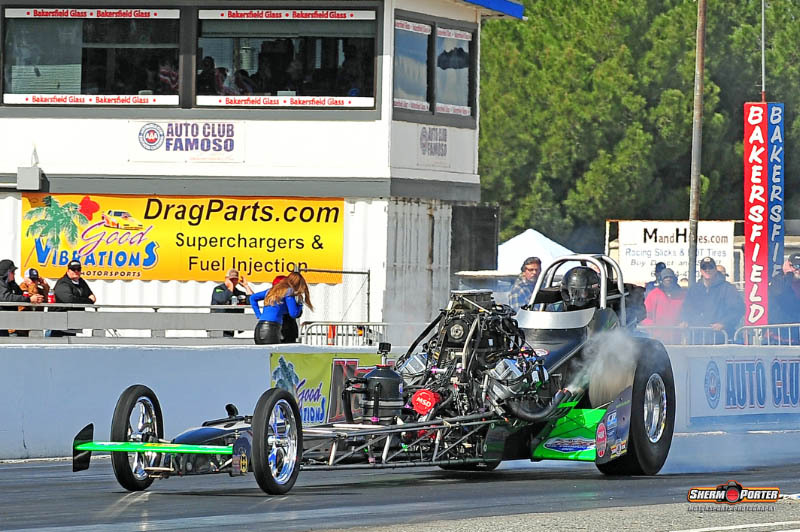 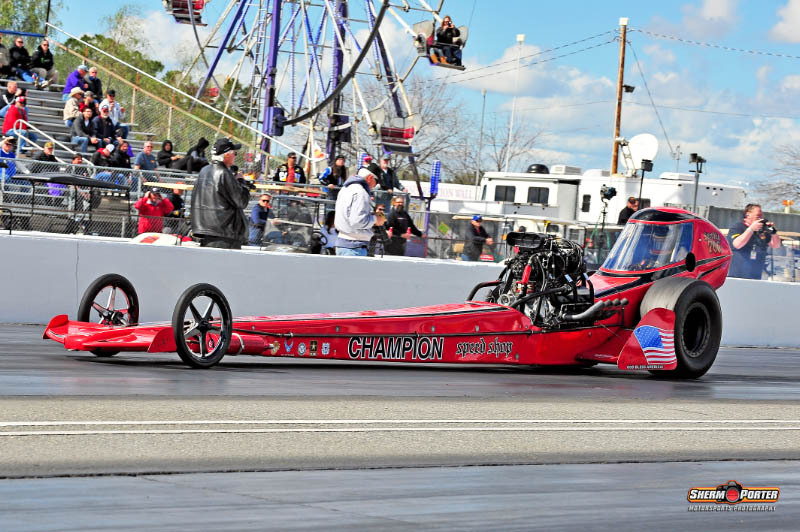 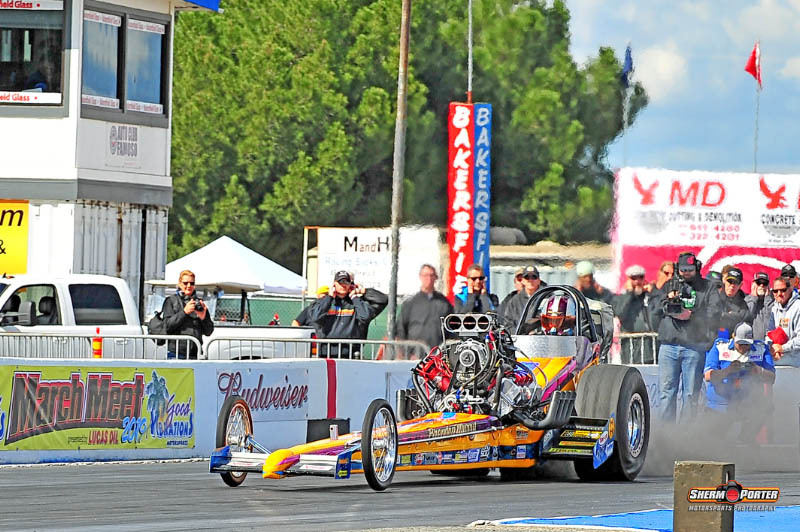 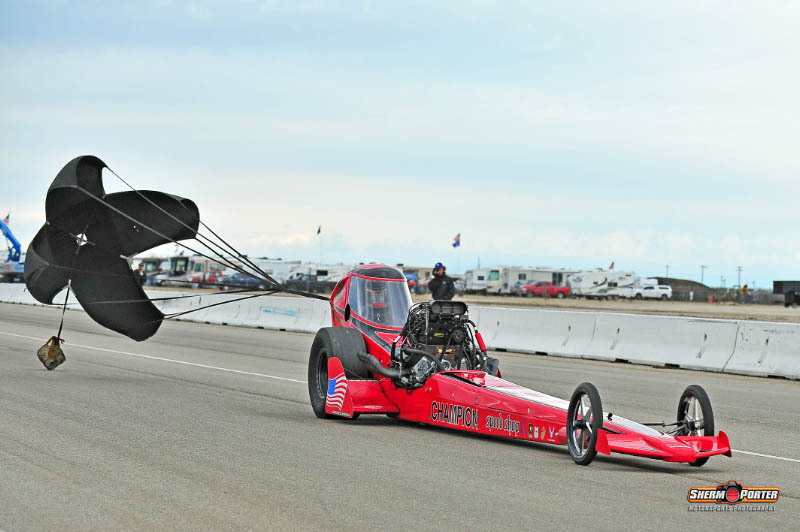 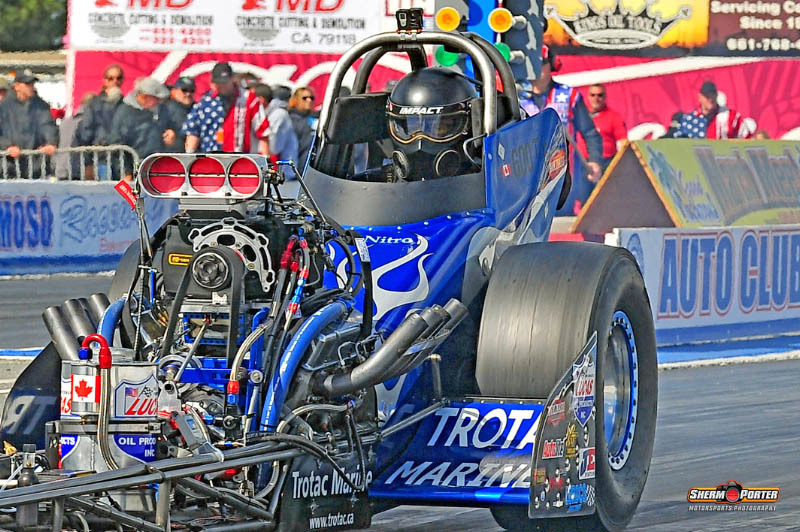 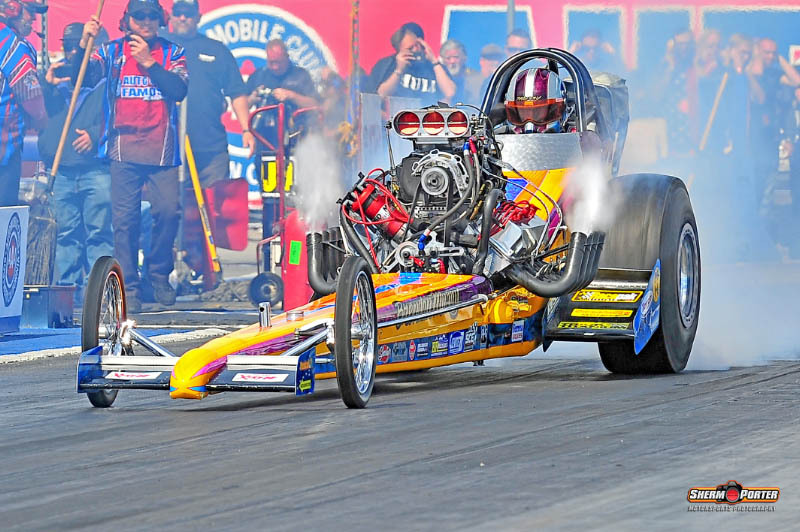 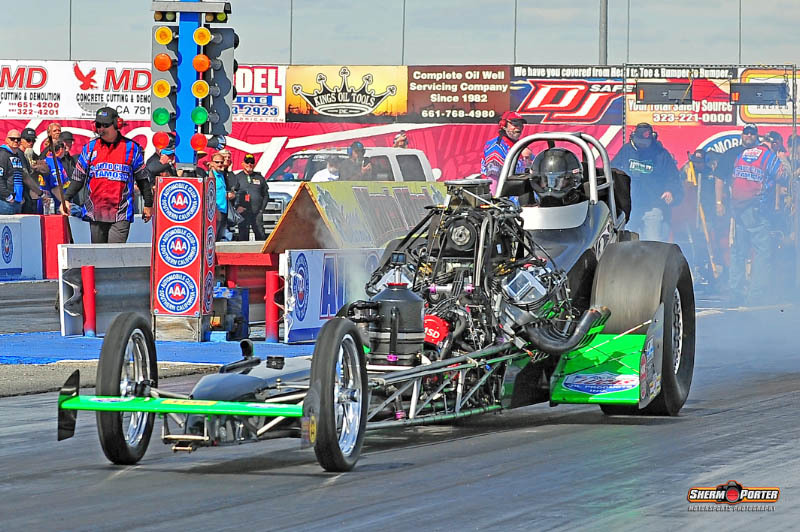 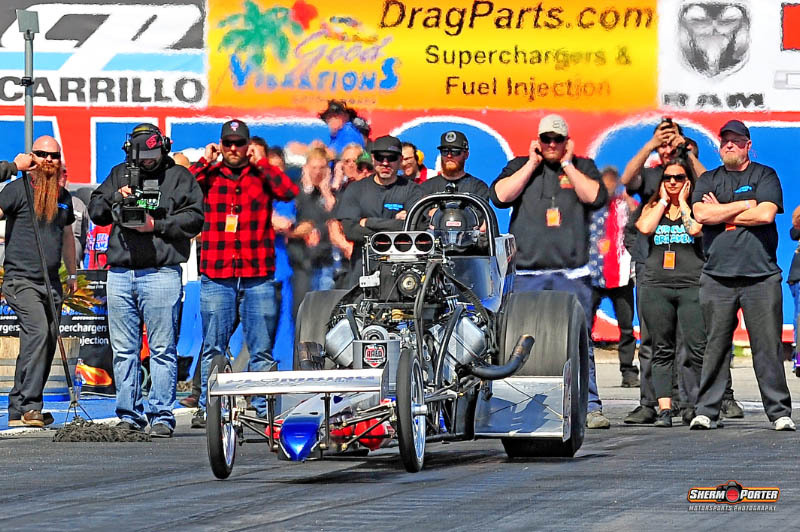 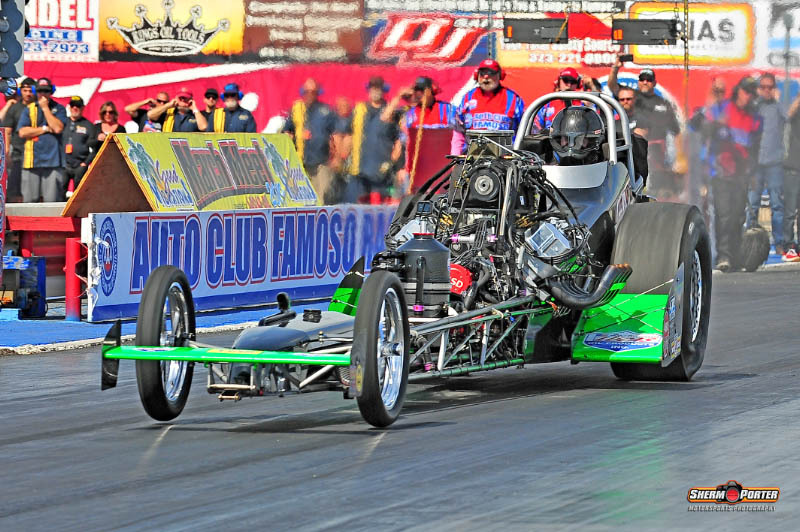 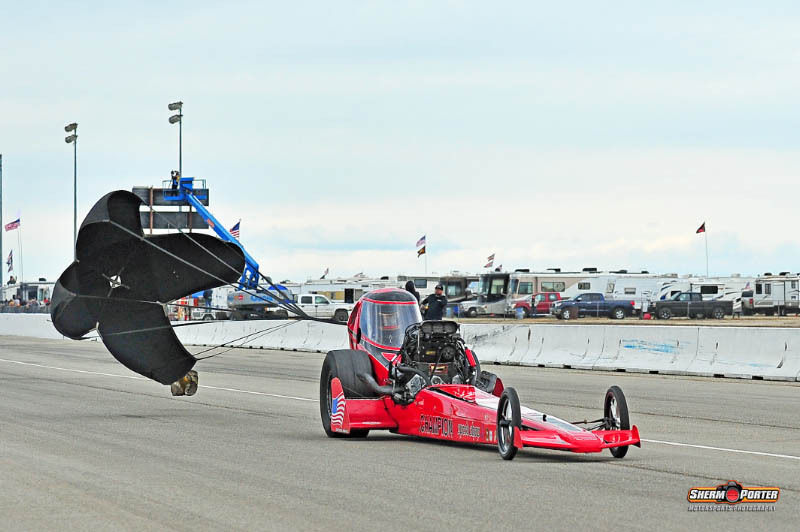 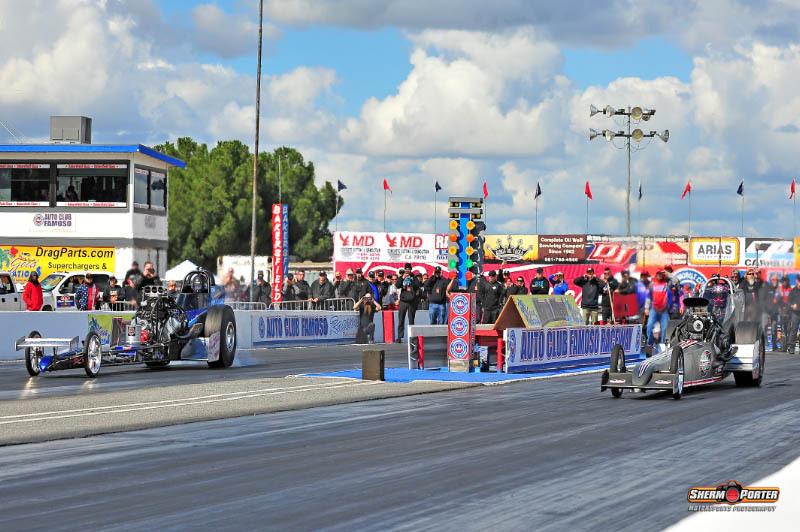 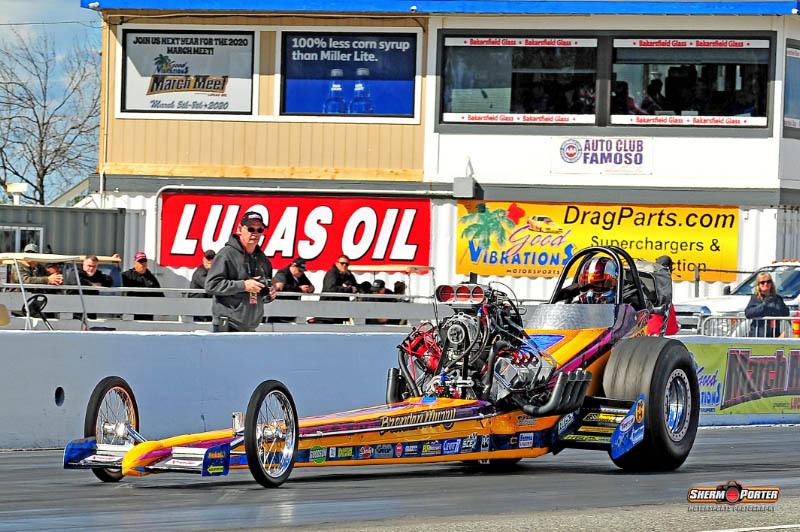 Mendy’s weekend brightened tremendously as the 1stround of eliminations saw the High Speed Motorsports ’16 Hadman, w/ a Donovan 419” piloted by Mendy lay down a 5.518/265.43 pass, backing it up in round two with an even quicker 5.490/259.71…a new world record for the class! 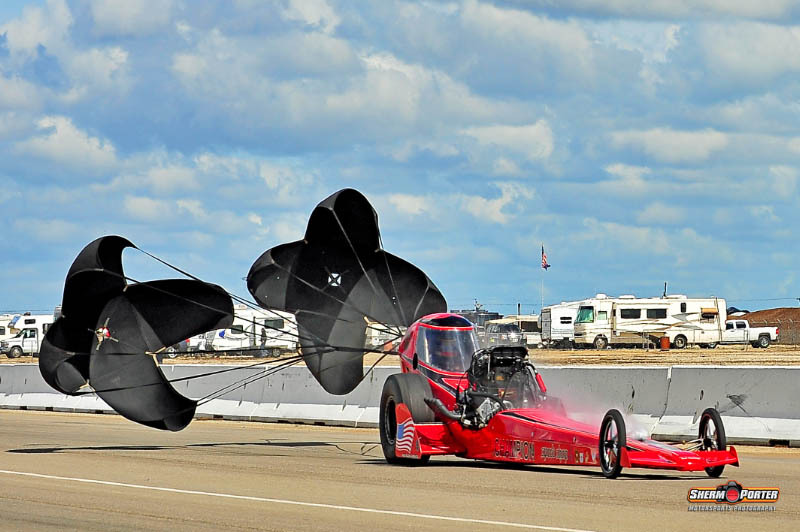 Adam Sorokin bested Rick McGee in round one of eliminations, coming back in round two to power over #1 qualifier Rick White on the march to the finals, pitting Adam against Mendy Fry, who had just set the new class record…alas, Mendy’s day ended with a 50 cent part going away on the line…Mendy had to watch Adam claim the gold…rest assured, Mendy, and the High Speed Motorsports team will be back!